So since it's Halloween I'd like to share something I saw earlier this week. I had just checked out at the store and pulled my cart off to the side to review my receipt. While I was looking at it I overheard the lady behind me at the register saying, "I saw all that yummy candy in the aisle but I'll be good and just take these instead." Well being the nosey person I am of course I was wondering what she chose instead so I turned around and saw it was two packs of cigarettes. I mean really???!!!! That is you trying to be good. I know Halloween is a tough time to be good with all the tempting yummy candy that is all around us but I am pretty sure that any bag of candy is better than a pack of cigarettes. I so wanted to say something but of course I just bit my tongue and walked out of the store before I did. We have been asked to review some products for Sports unlimited and while we were shopping online to see what products we might like, we came across some products that are AMAZING deals. We thought we would share those here with you as a little Halloween Treat ( and you don't have to worry about being "Good" because you will be saving a LOT. 1. Who wouldn't want a pair of Asics Printed Calf Sleeves for $8.95? 3. Need some new running shirts? These Merrell Tech shirts are only $5.99. 4. You can also get these Merrell Tech running tanks for only $5.95. So those are our 5 treats to you! A lot of these items offer Free Shipping too! Even though we were asked to review products from Sports Unlimited, we were not asked to write this post featuring these products. We just thought that these were some amazing prices and wanted to share. Oh, and if you like FREE stuff, check back on Monday. We have a giveaway coming up! So what are your Halloween plans? 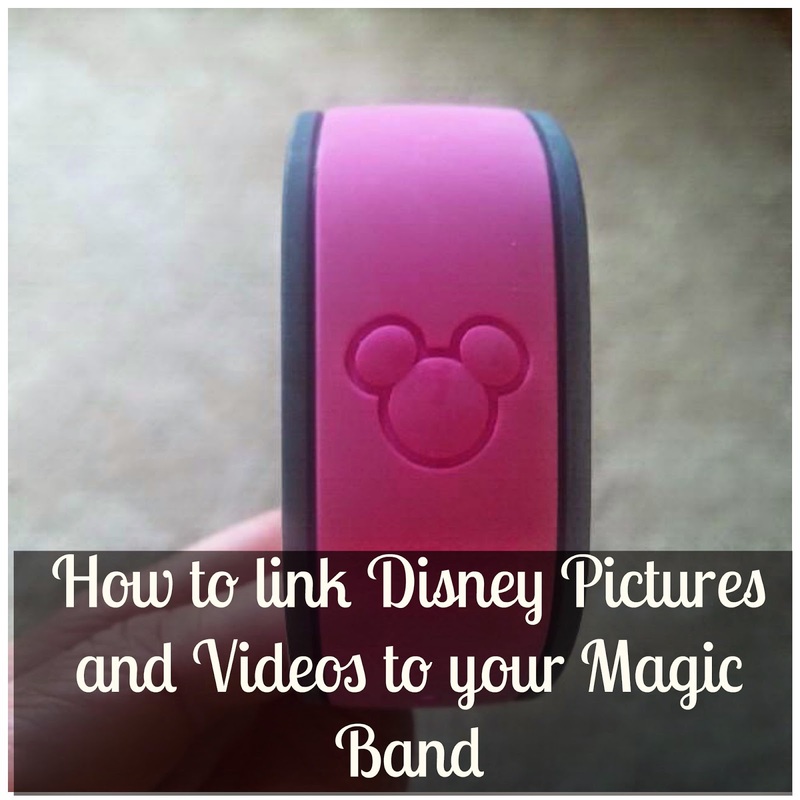 NEW: Now your Disney Photos are linked to your Magic Bands! When you plan a trip to Disney, you more then likely will log on to My Disney Experience and you will more than likely get your self a Magic Band. Disney has announced that all guest who were active Magic bands can now have Attraction Photos associated to their My Disney Experience account. All attraction photos that were taken in a 45 day time frame will be included. If you don't have a magic band, no problem, you can still have your attraction pictures associated to your MDE account via your park ticket ( or memory maker card if you should have one) and a new touch point photo preview wall. of course all those "Magic Shots" ( you know those ones that photo pass photographers take and then but an overlay on it), will also be included on your MDE. I arrived in D.C. Saturday morning. I was so surprised I didn't hit any traffic on the way down from Philadelphia. It was perfect timing. I was just pulling into the parking garage when I saw one of the ladies I was meeting. We walked down the street to get on the metro to go to the Expo. I heard from many people that this Expo is quite the process between all the lines and the security you have to go through. Well they were not kidding. The line was wrapped all the way around the block to get into the Expo. Luckily about half way up there was a separate line that we were able to go through since my friend's husband was retired military and he had his card. The Expo was a pretty good size and well organized. Downstairs was where you received your bib and upstairs was where all the vendors were. There wasn't any special vendors that I hadn't seen before at any other expo, besides this. 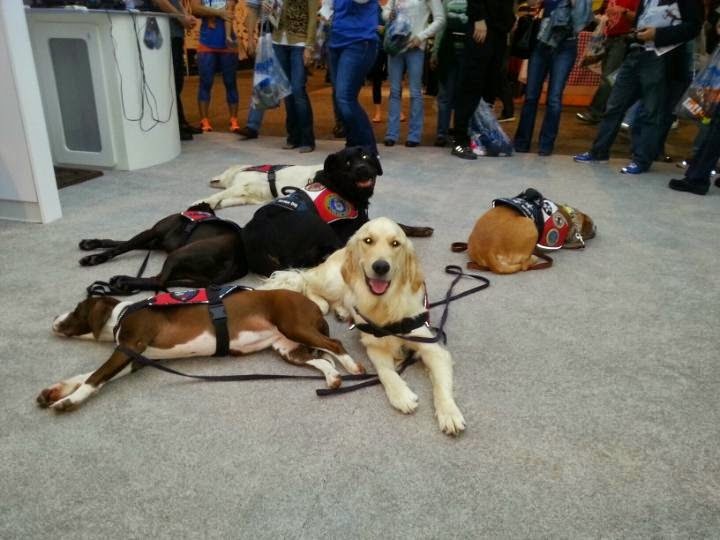 These were service dogs that helped with wounded warriors. How adorable! 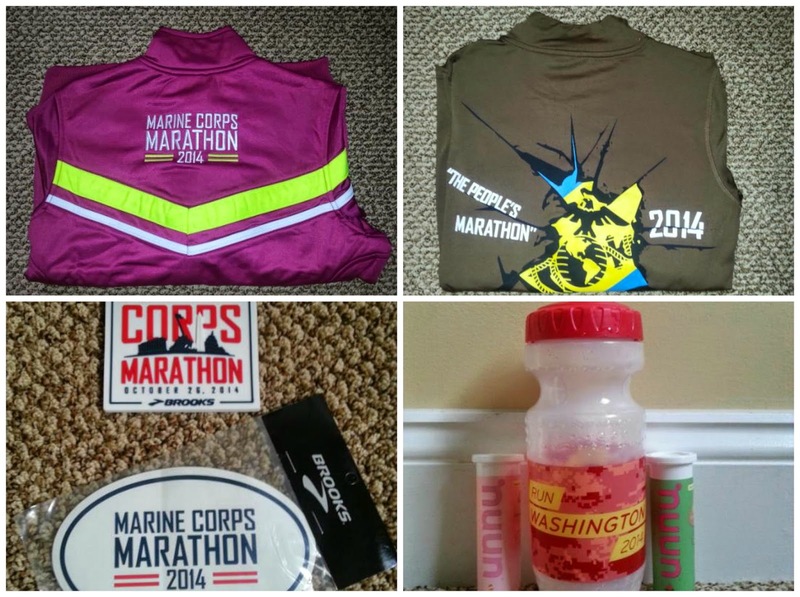 Before picking up my bib I went to the Merchandise area because I wanted to get a jacket before they sold out. I picked that up as well as a magnet and sticker. The line wasn't too bad for the merchandise. It actually went pretty quick (faster than waiting in line to get into the expo). I purchased some more Nuun. And they usually have the sale if you buy two Nuun you receive a free water bottle. Well the bottle was just not the usual blue one you may have seen in the past. It had Run Washington 2014 on it, which was appropriate for the race. After I picked up my bib I went back to the hotel to get off my feet and relax for the evening. Our hotel was having a special for the marathon. All you can eat soup, salad, pasta, and bread. I was so hungry because I hadn't really ate all day. When I woke up my leg was feeling a little tight. I was having IT band issues earlier in the week. I was hoping it wasn't going to give me any problems during the race. I even brought my foam roller so I was doing that the night before and in the morning while I was getting ready. I am always so undecided on what to wear for race day. I had brought a t-shirt and a tank top with my arm sleeves depending on how the weather was. When I stepped out on out balcony that morning it was beautiful! Decision made, tank top without arm sleeves. It was soon time to walk to the start. Our hotel was about a mile away from start, which was fine since it was right next to the finish. It really worked out well. After getting through security, stopping at the porta potty, and getting to the start, the National Anthem was just starting. I met my friend in the corral as we watched the wounded warriors parasail down to the starting line. Soon enough it was our time to start. My friend said she wasn't really going for specific time since she was doing a 50k in two months so she would run with me. I know she is much faster than me but I did want to keep up with her. I told her that I was having IT issues the other week so I wasn't sure how I'd do. I admit I do not study the course before races. I kind of like not knowing what's coming. I did read some reviews about this race and read the program you receive, but still you don't fully understand it until you are actually on the course running it. The first couple miles I was surprised how many hills there were. I thought to myself if this is how the whole course is going to be then I am in trouble. It soon flattened out which made me very happy. There were some parts of the race that became very narrow and congested at times. Especially between miles 6-9. There are nothing but runners on each side. When we were just approaching mile 6 there were a few runners on the opposite side. Those elites were really moving! I couldn't believe they were almost at mile 9.5. Approaching mile ten where the Kennedy Center and Lincoln Memorial are, I was still feeling pretty good. It wasn't until mile 12 that I lost track of my friend, which was fine. I knew it would happen at some point. I didn't mind at all. I was still feeling good, I just couldn't keep up with her pace. It was then where I decided to put my headphones in and find a comfortable pace. At mile 15 is the Jefferson and the Martin Luther King Jr Memorial. I kept thinking to myself well this is the longest run I did in my marathon training cycle this time. I wonder how the rest of the race will go. By mile 16 there were a ton of spectators that kept me going passing the many other Memorials, including the Lincoln Memorial. Then it was seeing the Washington Monument at mile 17 and the U.S. Capitol at 18. 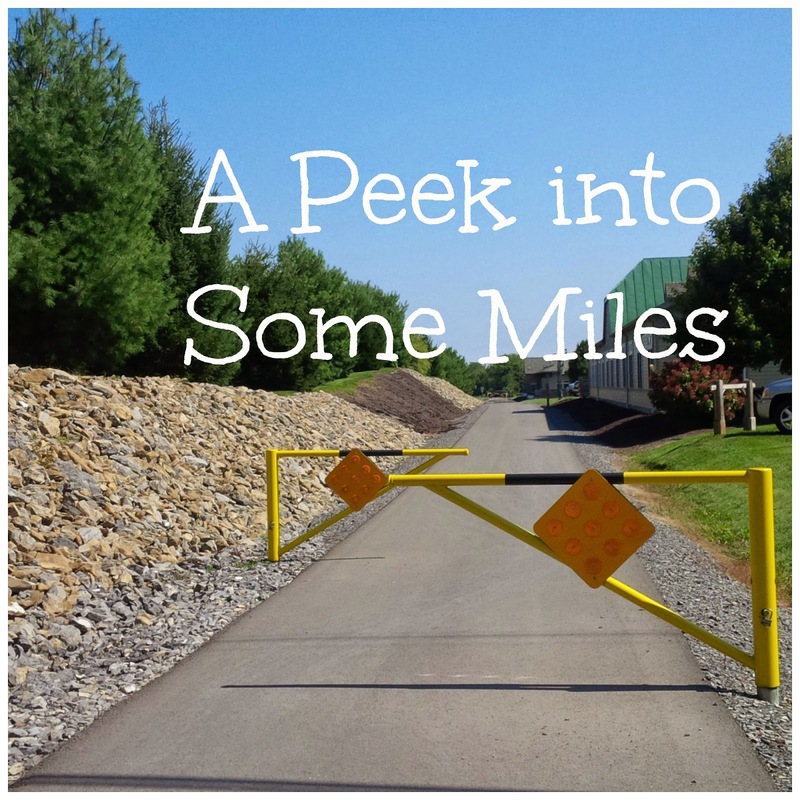 I have heard many reviews about the dreaded mile 20. I thought it was only because at mile 20 that is when runners hit the wall. But I found it was called Beat the Bridge. If you are not there by a certain time, you are able to get swept up along the course and not be able to finish. In addition to that, people think that is a tough spot in the course because of some of the inclines and little spectators. Like I said, I don't read too much about the course but I did hear about this part, so I was expecting so much worse. And for me, honestly I didn't think it was that bad. I think for me the hardest was the last three miles. I think it was the end of mile 22 where there was a sprinkler hitting the runners. In addition to that it became windy too. It was a beautiful day, but not hot enough to have a sprinkler going. After that I was a bit chilly for awhile. Then I approached the munchkin aid station. Of course I couldn't imagine eating something that sweet right then. I have been having a sweet taste in my mouth during the whole race between eating my GU and drinking my Nuun. I was so thirsty for water that I actually stopped at two of the water stops and chugged water. The last two miles felt like they were never going to end. I felt like I could have been going my fastest, then I look down at my pace and think that's all the faster I am going? I really felt like I was in slow motion towards the end. I remember hearing this spectator at mile 25 saying You guys are doing well. Almost done, just push a little more. I knew he was cheering us on, but all I could think to myself is Buddy we can't push anymore. You know we have already ran 24 miles. Anyways, I kept pushing and finally I knew I was almost there when I saw that last brutal hill at .2 towards the finish line. After getting up that hill, I sprinted of course to the finish line, which I always do no matter how I feel. Those last couple miles I was getting through but was thinking is this over yet? But then after I crossed the finish line I told myself well it wasn't that bad. I was so happy that my IT band didn't act up during the race, just after. I have been rolling it, sitting in my massager, and taking epsom salt baths. I hope soon enough I am feeling back to normal to get a few more longer runs in before Vegas. Do you study the course map or do you like to be surprised? Happy Tuesday everyone! 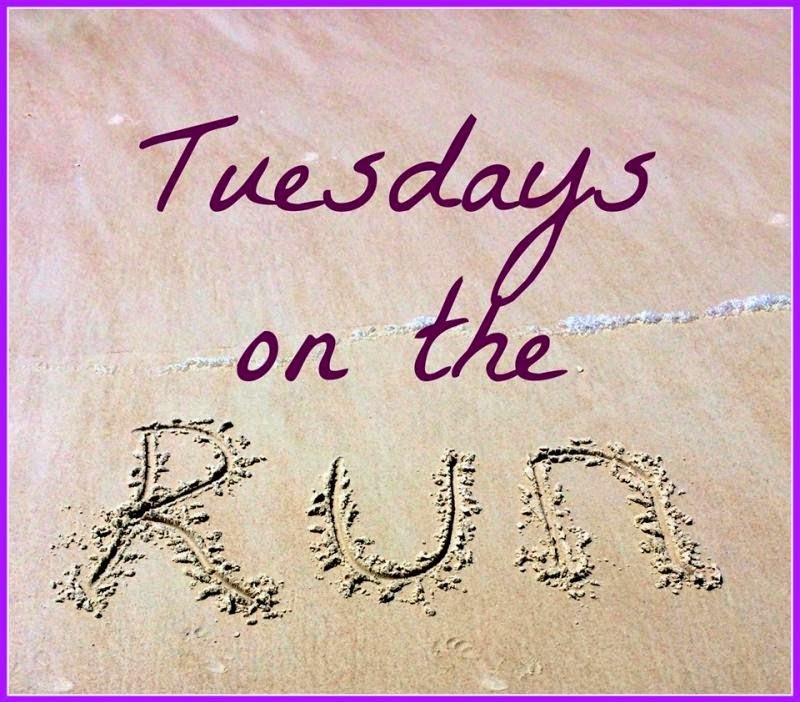 Today's Tuesday on the Run theme is "Favorite Item". I'm not sure if this is exactly my Favorite item but I at least wanted to mention it because I think it is VERY cool! After my sister posted about her hydration issue on long runs, I thought maybe this item would help her and other runners who may have the same issue. 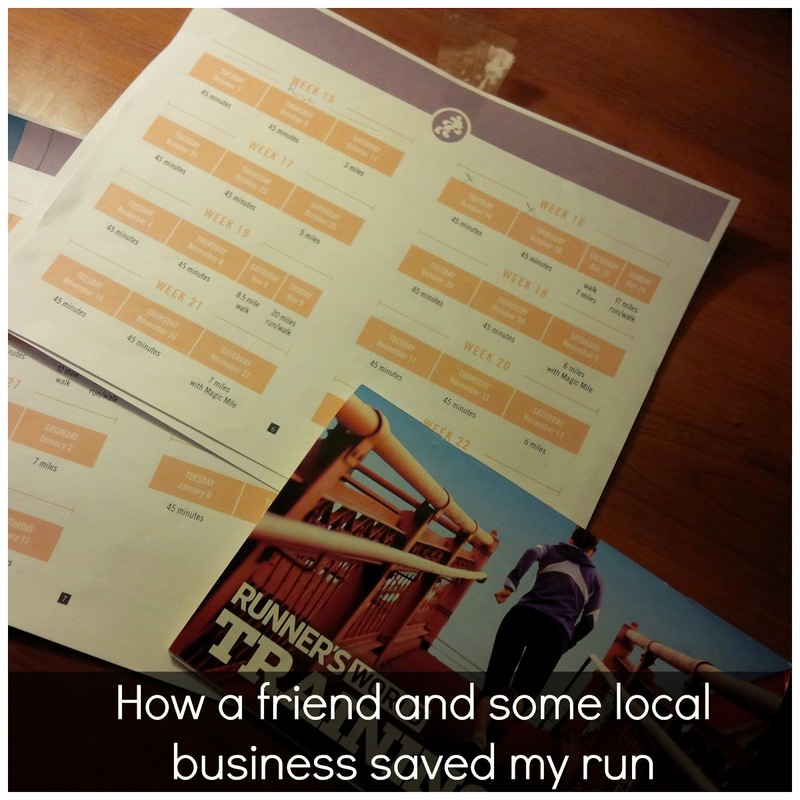 Before I explain what this item is, let me tell you that I have been subscribing to Stridebox the last few months and I have enjoyed trying out all the goodies in my boxes that are focused towards runners. This month I received something unique that I have never seen before. It's called the bottle band. Ever hear of it? 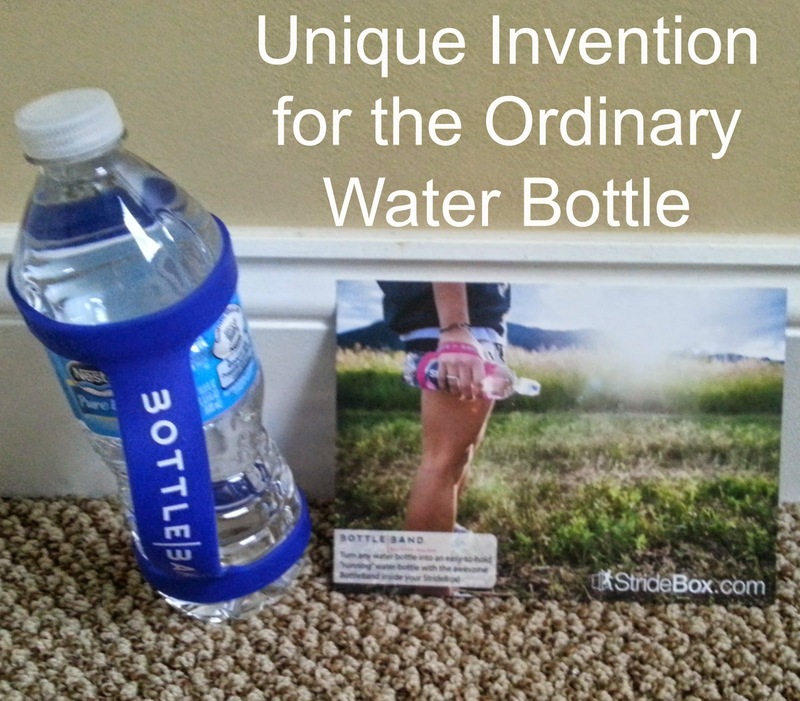 "Turn any water bottle into an easy-to-hold running water bottle." There are so many times during my run that by the end of my run I am carrying an empty water bottle. It would be so nice to get rid of it when you are finished. And now you can, with the bottle band. Be sure to visit us next Monday as we Giveaway another item that is one of our favorites! Have you ever heard of the bottle band? 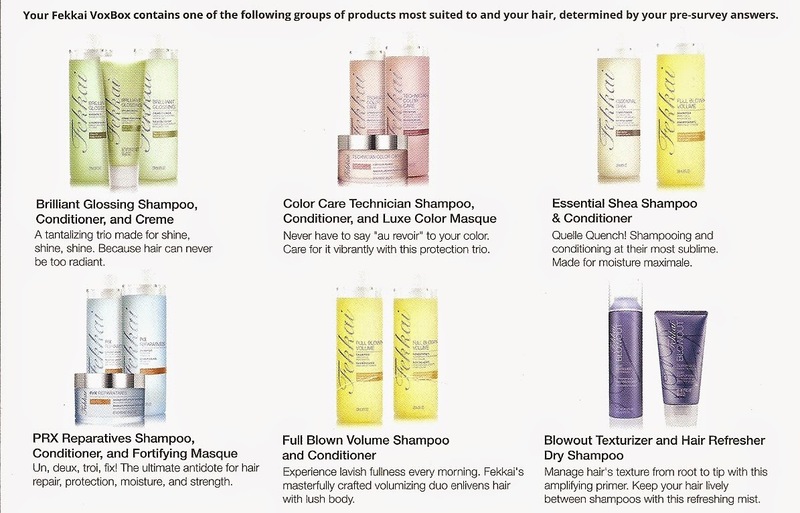 What is a product you really enjoy? It was SO windy this past week that I started doing most of my runs inside. It was raining on most of the East cost but it somehow managed to miss my area. Thursday I put on my head covering and finally decided to get outside and brave the wind . I did 5 miles and once I started running the wind didn't bother me at all. Since my 5 miler went so well on Thursday, I decided to do 13.1 on Friday. 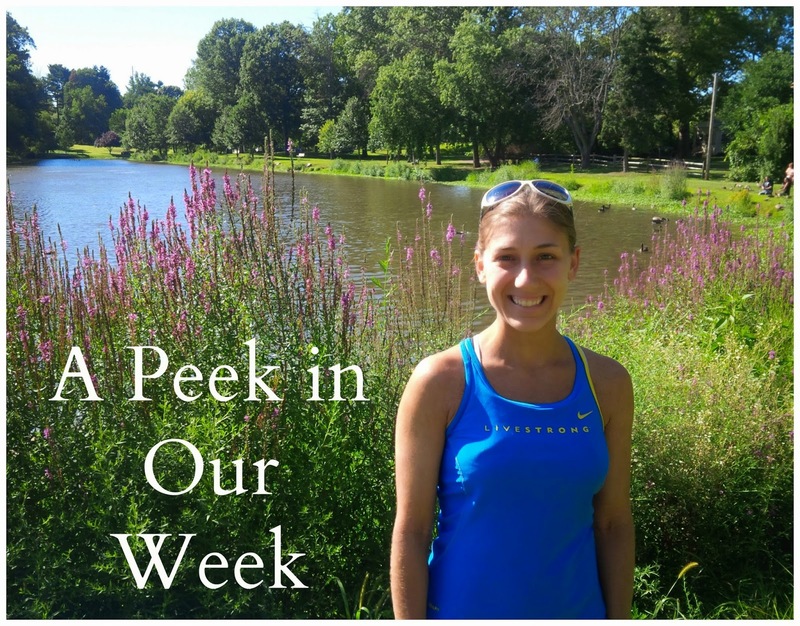 I want to start getting some back to back long runs in so my plan was to go to the trail and do 13.1 on Friday and then again on Saturday. When I woke up on Friday I didn't feel like driving to the trail so I just started running through town. It's a good thing I did too. About mile 9 I always end up running out of water. At mile 8.9 I accidentally ran into a friend of mine that was also running. He decided to run the rest of the way with me. We had about another 3 miles to go till we would end up back at the park where I started. I told him that once we got to the park that I would have a lap or 2 that I would have to run. he said, he probably wouldn't run with me once we got to the park but he would wait for me. So I told him I had a plan for him. I asked him if once we got to the park if he would take my water bottle over to the spigot ( the one that we let the dogs drink out of) and fill it up for me. He laughed and said "you really must be desperate". I was. Knowing full well that the spigot I was referring to is not a proper water fountain, my friend said " I'll do one better for you, we'll stop at my friend's beauty salon and I will fill your bottle up there". This was a life saver. That beauty salon was right on our route anyway, so it all worked out! Saturday morning I set out to do another 13.1 miles. I went to the trail this time and I wore my Camelbak hydration belt. I don't particularly like wearing this but as I mentioned above, I'm usually out of water by mile 9 when I use my handheld bottle. I used the hydration belt last week when I did my 15 miles so I thought for sure I could handle it for only 13.1 this time. By mile 3 I had to make a detour very badly. Since the only port o potty on the trail wasn't for another mile I had to cross a field of pumpkins ( there was already a made path through this field), and cross the highway to get to this country store/restaurant in order to use their restroom. When I started this run, I already knew that I was going to be pressed for time because I had to go home and get cleaned up for a bridal shower in the afternoon. Because of my little detour, I decided to only run 10 miles instead of 13.1. As my running partner and I continued on our run, we started to see banners along the trail that reminded us that there was a 5k and 10k race on this trail this morning. We started to see volunteers setting up the turn around signs and I started to get a little nervous and stressed out. I did not want to be out on that trail while the race was going on. At this point, we decided to cut our run down from 10 miles to now 8 miles. So we ran 4 miles up the trail and 4 miles back. On the way back the hydration belt was really bothering me. I still had 2 mostly filled bottles in it and it kept feeling like it was pushing on my bladder ( making me feel like I needed to make another detour). I didn't make another detour but I did take the rest of the miles very slow and walking a bit more than usual. You might say that I would chalk this run up as a "bad" run, but I'm not. I got myself up early in the morning, got dressed, laced my shoes up, went to the trail, ran, and finished. In my book this run was still a success and I am not going to feel bad about it. 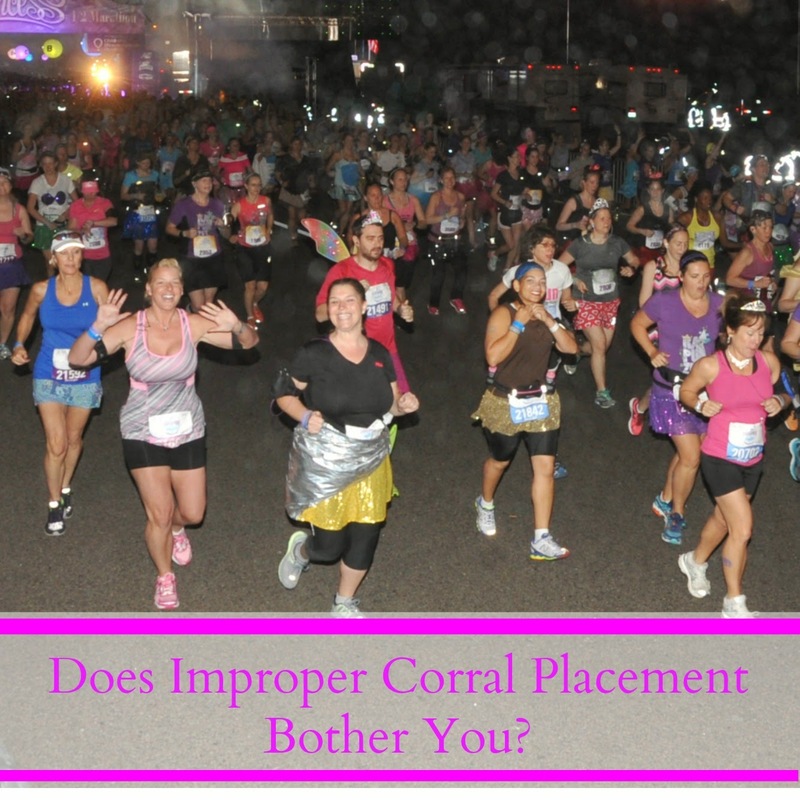 What incidents have you encountered on your runs lately? It's that time again where we take a peek at how our past week went. 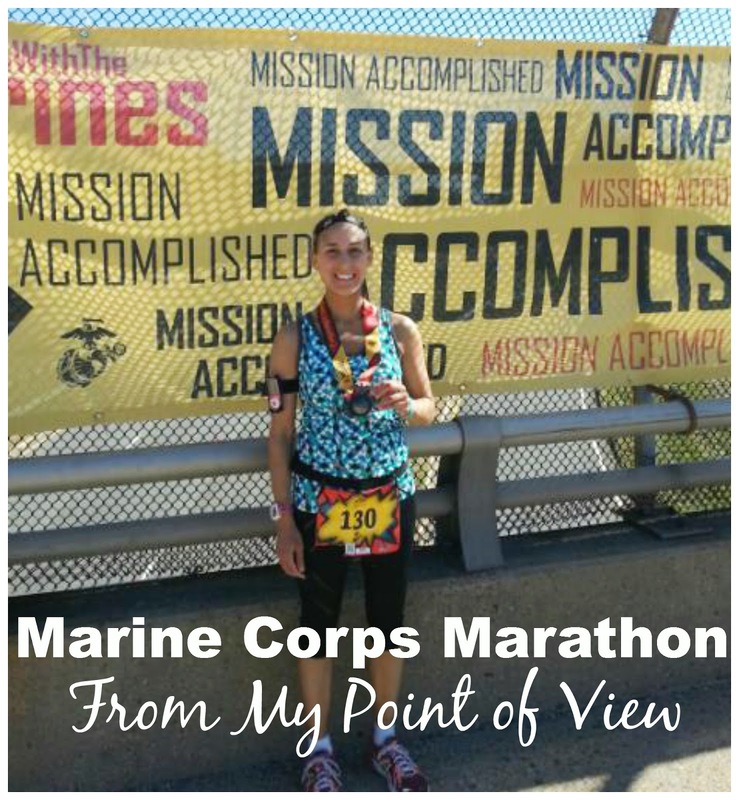 The week for me was all about Marine Corps Marathon. I also had a little bit of stressing going on. I got a few runs in but started to feel some pain in my IT band ( oh no). This couldn't have come at a worse time. And as you know, the weather on the East coast can be so temperamental in October so I really debated over what I should be wearing on race day. I didn't want to be too hot or too cold. Saturday was spent at the Expo and catching up with some friends. Sunday of course was race day. I did half of my runs indoors on the treadmill this week and it actually didn't go half bad. The other half was outside and those runs were a bit interesting. I'll share more on those later. On Saturday I attended a good friend's bridal shower. Since I was getting fancied up I thought it would be a good time for me to try the complimentary Fekkai Hair Products that I was sent through Influencer to test out. *I love the smell of the product. It is no particular scent like apple, coconut, floral, or anything like that but the smell reminds me of being in a salon. * The shampoo was just as thick as the conditioner. You know how some shampoos seem to be a little thinner, well this one wasn't and I didn't need to use as much of the shampoo as I normally do. * I wasn't quite sure how to use the glossing creme since the instructions weren't very detailed. I just put it on damp hair and then just blew my hair dry without using any of my normal products. *I noticed my hair felt a little softer but didn't notice that it was shinier. (Lets put it this way, I didn't get any compliments on it). But then again, I wasn't aware that my hair was dull to begin with. Tell us, did you do anything exciting this weekend? Did you try any new products? Are you guys loving these cooler temps lately? I bet most of you think this weather is perfect for running, right? I actually don't mind summer running at all, I kind of prefer it. But as my mileage is increasing due to marathon training, most of my longer runs will be coming up this fall. I completed 15 miles on one of my favorite trails this past weekend and while I was running I thought of all the things that I needed to be cautious about while running during the Fall season. 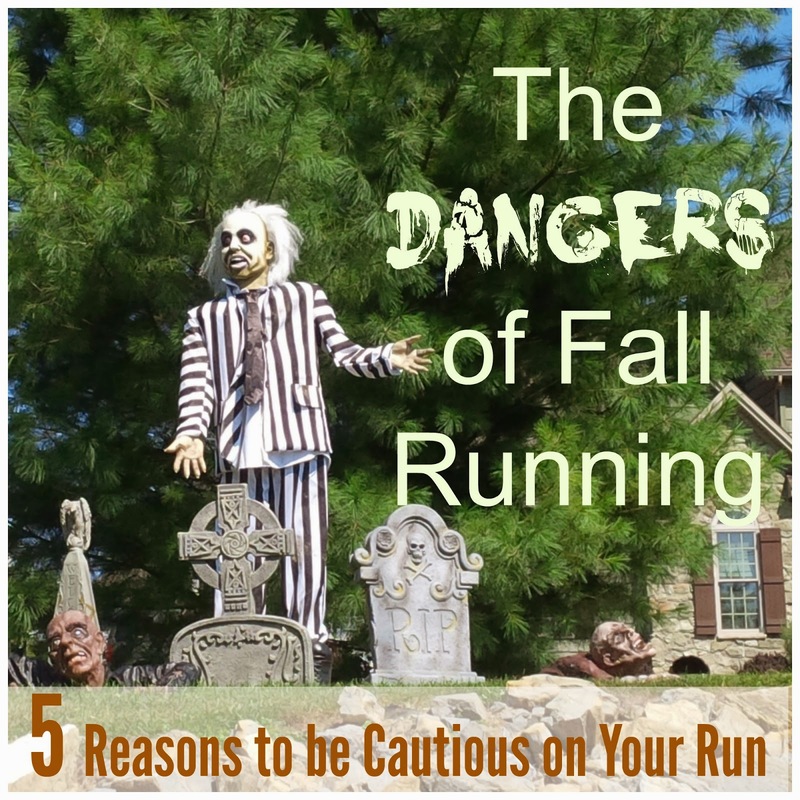 So I give you 5 REASONS TO BE CAUTIOUS DURING YOUR RUNS THIS FALL. 1. Frightening things like the decorations shown above. ( I just kid). But actually I was startled when I first saw this along my trail. It was removed for a few weeks so I wonder if someone had told the owners that it was frightening too many people? 2. Walnuts. ( okay, this is a serious one). If you run where there is a lot of trees ( like I do), you will notice that walnuts are falling off the trees like crazy. I literally just missed having one drop on my head while I was running the other day. It's not just falling walnuts that are a danger, there are plenty of them on the trail/road as well. I stumbled on one of them last week and rolled my ankle. I see lots of apples on the road/trail as well and almost tripped over one of those too. 3. Leaves. I do most of my running on the trails and as lovely as it is to see the trail covered in leaves, it can be kind of dangerous too because 1.) They can be slippery and 2.) You can't always see what is under the leaves. I've stepped on leaves that had sticks underneath that flew up at me while I was running and the leaves also do a good job of hiding those fallen walnuts. Even if you aren't running on trails, leaves are all over the sidewalks too. I just did a run yesterday through town and some sections of the sidewalks were covered in leaves. You need to be careful here too because you don't know what is underneath those leave. An uneven sidewalk perhaps! 4. I have found that fall brings more bicyclist out on the trail ( and boy do some of these bikers ride fast). I am often worried that one of them is going to run into me. I do try to stay to the right side when I run and I have my music on low so I can hear them coming up behind me. 5. This last one might be obvious, but since it isn't light as early and it gets darker earlier, you may want to be sure to carry a small flashlight or wear reflective clothing. I know on my one trail run, it started to get darker then I thought by the time I got back to my finish point. 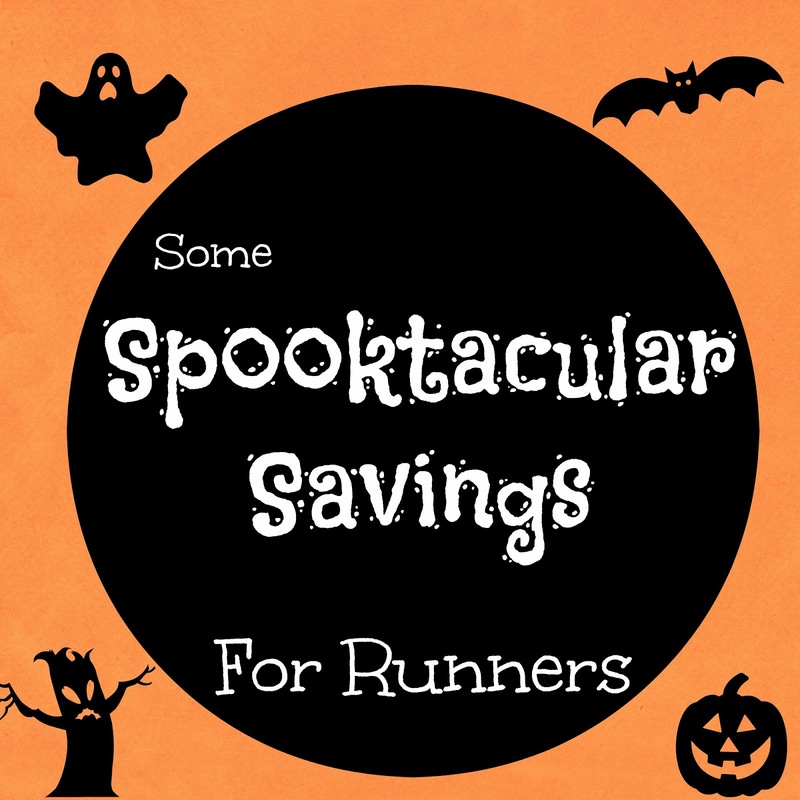 Is there something that you are overly cautious about when running in the Fall? How is everyone's Thursday going? It seemed like it rained a lot of places yesterday but it stayed dry here all day, no rain but boy was it ever windy. I guess Fall is officially here. So anyway, we were contacted by the publicist at Runner's World to let you guys know about a contest that is going on. 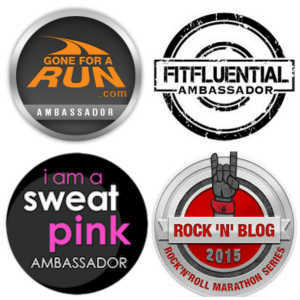 Rodale Publishing ( the publisher of Runner's World, Women's Health, and other great reads) is partnering with Lincoln Motor Company on a contest that runs through October 31, 2014. The contest is called "In The Moment". To enter, take a picture that answers the question "How do you live in the moment" and tweet it to @LincolnMotorCo with the hashtags #InTheMoment and #Promotion for a chance to WIN a fabulous GETAWAY to NYC, Chicago or San Francisco. We've seen you photos on your blogs, facebook pages, twitter and instagram. You guys definitely "Live in the moment"
What does "Living in the Moment" mean to you? Which photo would you submit? A favorite race photo? While we were visiting Magic Kingdom for Mickey's Not So Scary Halloween Party, we came across this long line in Liberty Square. 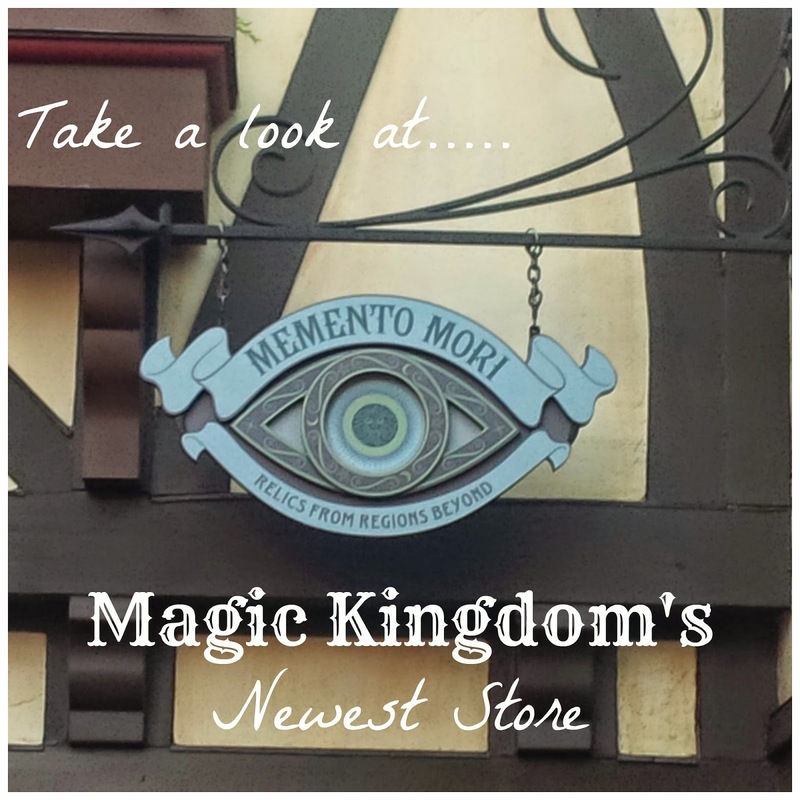 We weren't sure what everyone was waiting for until a cast member who was in charge of line control told us that it was for the "soft opening" of the store called Memento Mori. 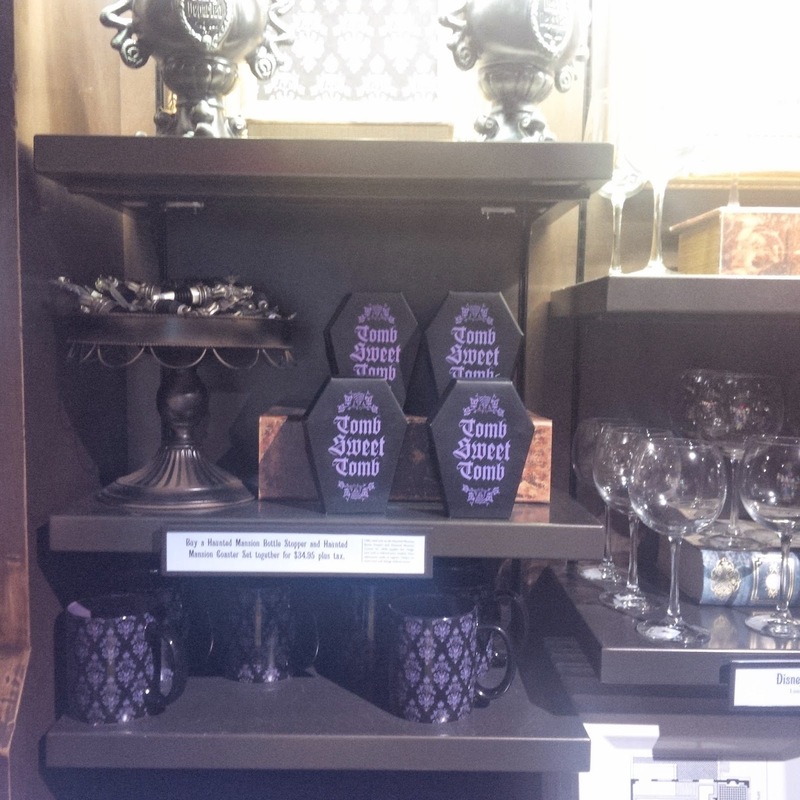 Memento Mori is a store devoted to the Haunted Mansion. It is located in in the old Yankee Trader store diagonal from Columbia Harbour House restaurant ( and in front of the Haunted mansion). I am not into spooky things, so I knew I wasn't going to buy anything but we stood in line anyway and waited for our turn to go in and browse. The shop itself is a tiny space, so they were only letting in a handful of people at a time. 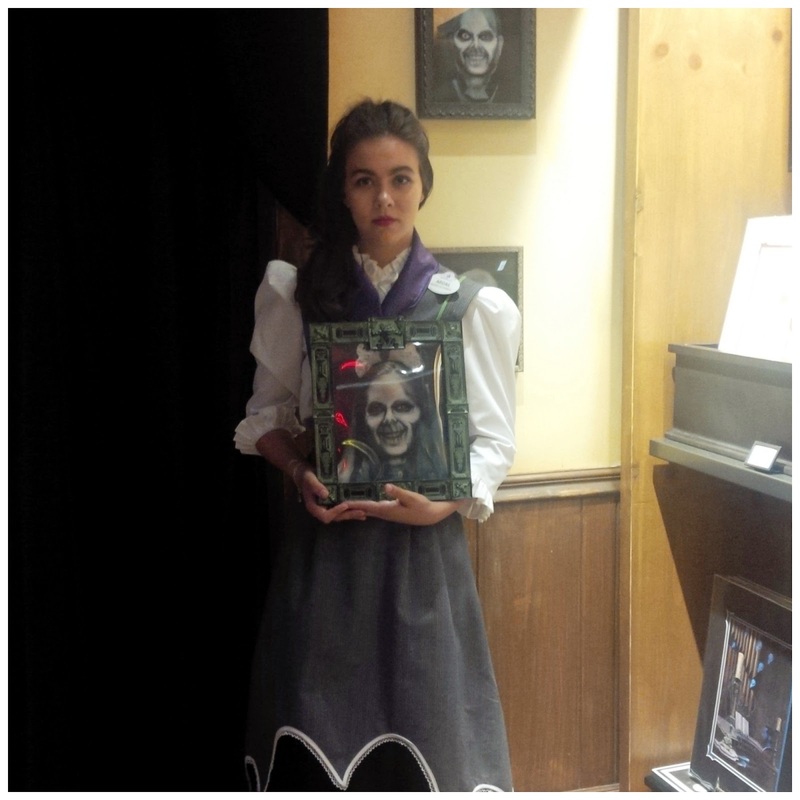 One of the hottest items that the shop was offering was the ghostly photographs. For $19.99 ( without the frame), you can get your picture taken right there at a studio that they have set up at the store and somehow it takes your image and turns it into a picture of you as a ghost. Is that pretty cool or creepy? Of course there were all sorts of house ware items, dishes, stem ware, book ends, art work and such. There were some clothing items, pins, special Haunted Mansion Magic Bands and other trinkets paying homage to the Haunted Mansion. This place was basically a Haunted Mansion lover's paradise! 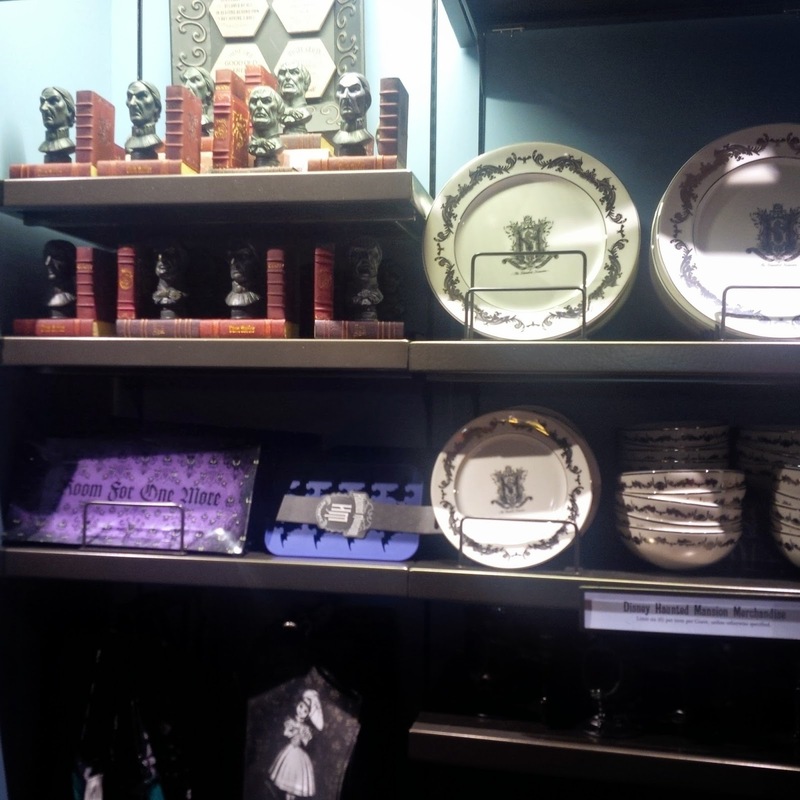 I do like the Haunted Mansion ride, but it's not one of my favorites and I don't get all excited over this type of merchandise, but it was nice to see that they have so much variety for those people who want to get their spook on! Are you a fan of the Haunted Mansion? Would you go crazy over Haunted merchandise? Today we are talking about SHOES! What we know about shoes is that you really need to make sure you are in the right ones. Running shoes are something that you need to fall in love with the first time you try them on. Very rarely do you have to "break them in". After the first mile or two, you should know if they are the ones for you. I have to say that Ignorance Really IS Bliss. Before I started really running ( as in training for longer distances) I felt that any pair of running shoes I had, fit me just fine. I was easy to get along with. I received a pair of running shoes for Christmas a few years ago ( never saw them, never tried them on, nothing) but yet when I put them on for the very first time, I said "Yup, these will do". I'm easy to please people! But as I started to increase my distance, my knowledge of running shoes increased as well. Now I have so MANY questions when I look for a running shoe. What shoe is a good fit for my foot type, Should I have more cushioning or less cushioning? Should I have a neutral shoe or stability shoe? ( A few years ago I would never even know there was such things as a neutral shoe or a stability shoe). 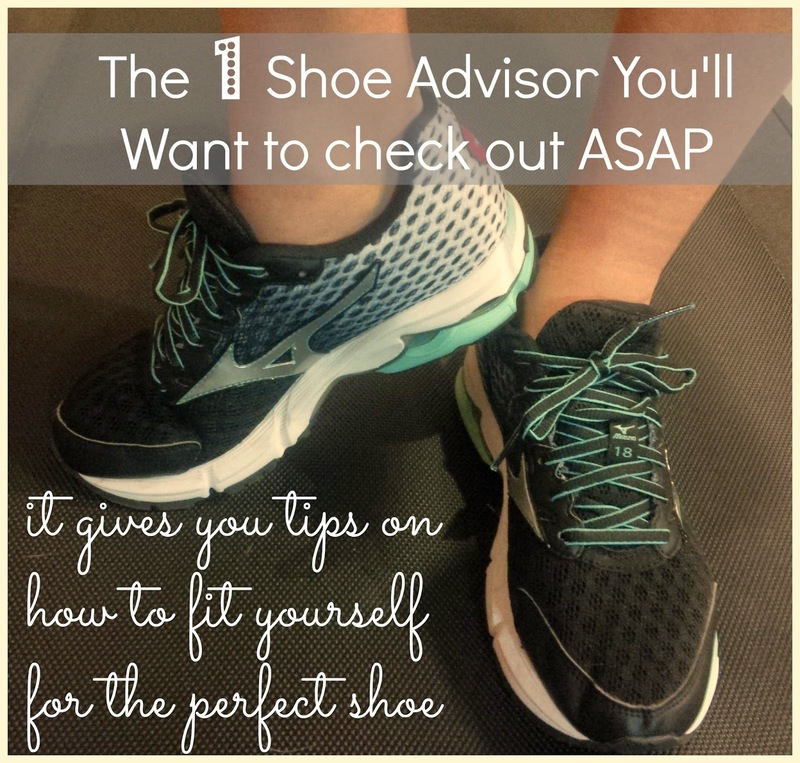 Even before I ever started to wear Mizuno Running Shoes, I would often reference their Shoe Advisor Site. There are SO many options on this site, so I will give you this quick run down. I would first start with the Precision Fit site ( under the Start From Scratch tab). This site will calculate your Weight, Pace, Foot Type, Foot Rotation, Foot Strike, Static Leg, Flexibility, Dynamic Leg, and Finger Test. Then of course based on your results, a shoe would be recommended for you. If you already know what type of shoe you are looking for I would go to Explore the Mizuno Line Up. From here, you will select how much cushioning you'd like, the structure of show you need, and then any specialized features. You can also choose Switch From Another Brand. from here you can plug in the brand you are currently wearing ( if you like them), and Mizuno will select a pair of shoes in their line up that would be similar to what you are currently wearing. I did all of the above tests. I wanted something with lots of cushion, something neutral, and wider. My results were the Wave Rider. This was perfect because I was asked to review the Wave Rider 18. 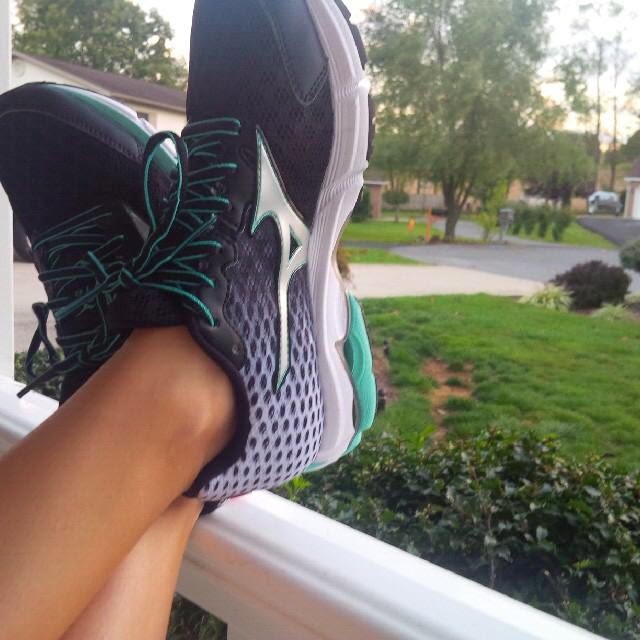 My mom has been wearing Mizunos for a while now but this is my first pair. So, what did I think? * I was worried that they might not provide me with the cushioning that I was use to, but as soon as I stepped into the Wave Rider 18 I was proven wrong. I felt like I was walking on clouds. *I found the Wave Rider 18 to be very form fitting. It literally felt like it was a big hug for my feet! * I feel that they offer the support that I needed while still being a neutral shoe. I think this is what they call the Mizuno Wave Technology that provides the runner with a stable ride from landing to push off. The Wave Runner 18 also offers a Double Fan Wave which is a forefoot wave plate that helps with shock absorption yet keeps it flexible. *I love the design. I know better than to pick a running shoe on they way they look or because they are a pretty color, but come on. They are awesome looking, right? I've already had so many compliments on these shoes. I want to wear them all the time, not just on my runs ( but I don't want to put any unnecessary miles on them..haha). The women's #WaveRider18 also comes in a silver/blue style and a Fuchsia Purple/white style. *A snug fit around my heel and my midfoot makes this shoe feel like it is actually a part of my foot. *The premium sock liner provides more rebound and resiliency after every foot strike. I actually love the way these shoes feel when I wear them without socks! I know that's probably not a smart thing to do but it just feels SO good! I just feel like these shoes have so much "bounce" in them. 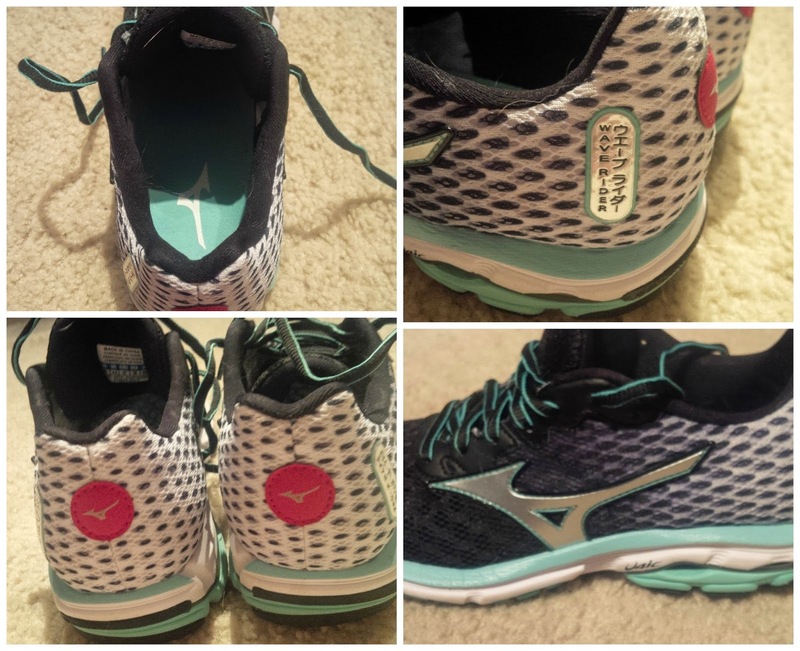 I've tested my Mizunos on the road, the trail, and on the treadmill and they did not disappointed on any terrain. I originally thought that I might have to go up a half size but I'm starting to think they are pretty true to size. I normally wear a size 6.5 shoe but go up to a size 7 in running shoes so I have that extra bit of room. I don't quite have a whole thumbs length room between my toe and the end of the shoe but so far I haven't felt like my toes are hitting the edge or have had any other issues. Ok, now go check out that Shoe Advisor on the Mizuno site so you can find the perfect shoe for you! I'm gonna go take my new Wave Rider 18's for a ride on the treadmill now. Is there a certain feature you are picky about when it comes to your running shoes? Do you like maximum cushioning? A wide toe box? minimal cushioning? Stability? Share with us what you like. Also, do you make sure that you have a thumbs length room between your toes and the end of the shoe? Have you ever had less and if so how did that work out for you? I was provide this complimentary pair of Waver Rider 18's from Mizuno Running company for testing purposes. All opinions are certainly my own. Happy Monday Folks! 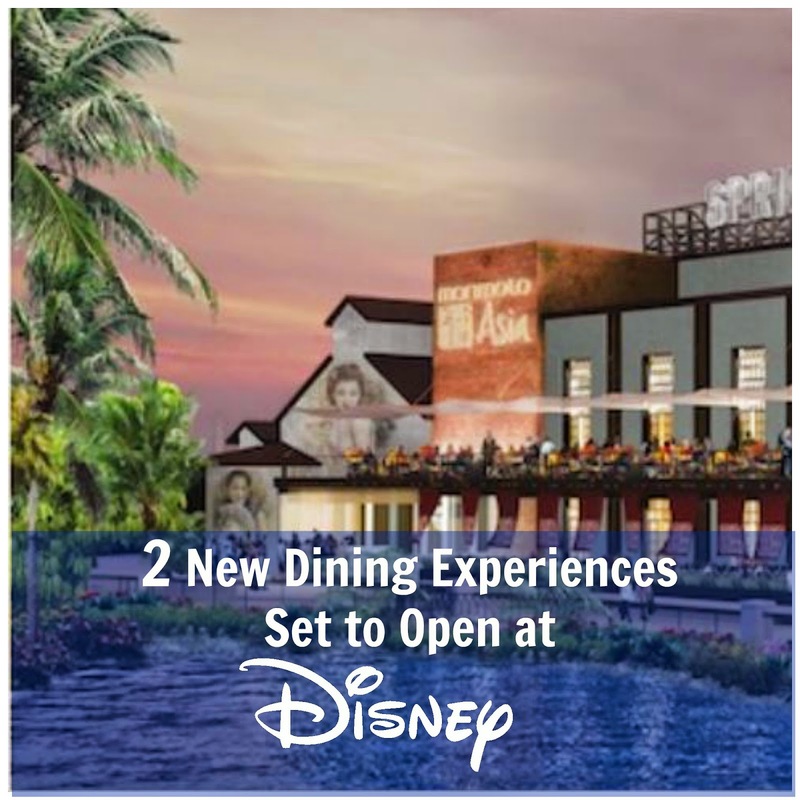 Since we were participating in A Disney's Wine and Dine weekend link up sponsored by Distherapy, we ended up posting that post yesterday instead of the traditional Peek in Our Week. You may think that since we didn't post that we didn't really run, but you would be wrong. There were lots of miles put on last week. I put a lot of flying miles in last week/weekend as I spent some time in Dallas. While I was there, I got a hot stone massage. I have gotten hot stone massages in the past and they were quite enjoyable. The hot stones are placed in a crockpot like container that are heated. In addition to a Swedish massage, they rub the smooth flat stones along your body going deeper into your muscles. It is very soothing. My only complaint would be that I felt she took too much time walking over to get the stones and walking back to the table where I was laying. I would have liked for it to be closer. 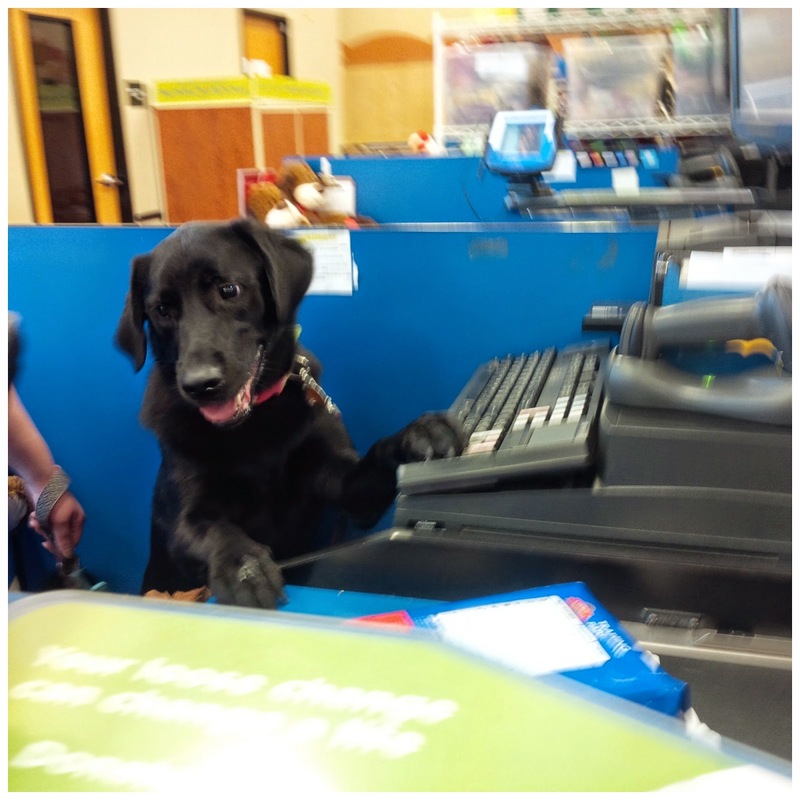 Oh and while I was out shopping yesterday I had to stop at PetSmart and this is who checked me out. Well, that's it folks. We hope you have a great week. Let us know how your training is going! Do you ever modify your training plans? Greetings! In just a few days thousands of people will flock to Disney World to experience the Food and Wine Festival and the weekend of races that go along with it. 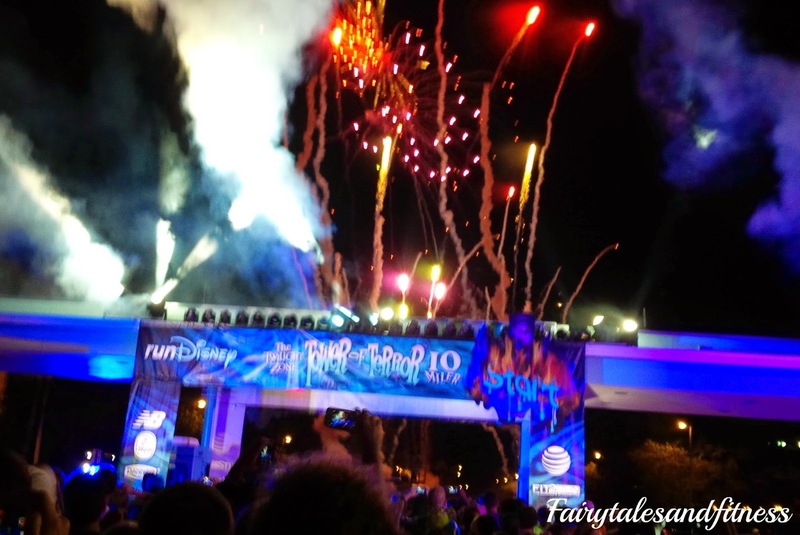 In addition to the Wine and Dine Half Marathon ( that is run on Saturday night), Run Disney also hosts a 5K. I ran the 5K last year and thought I would make a list of things to know about it. 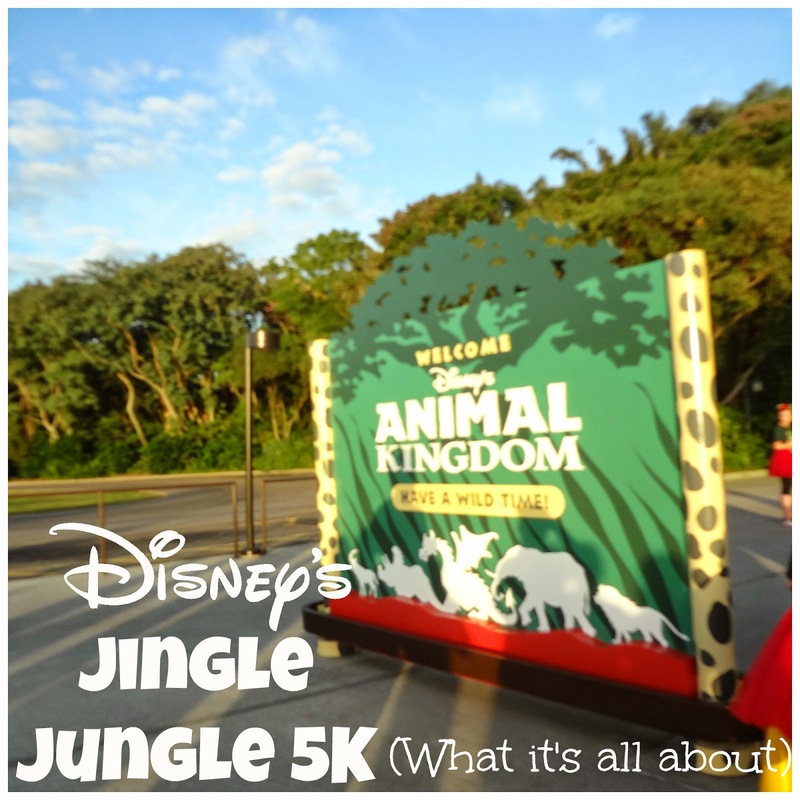 *The Jingle Jungle 5K starts and ends at the Animal Kingdom. There will be bus transportation set up for runners and spectators ( if you are staying at a host resort). *Once you get to the parking lot at Animal Kingdom, there should be characters set up for photo ops, and some holiday displays as well. When I was there it was Mickey and Minnie Mouse in their Holiday outfits. 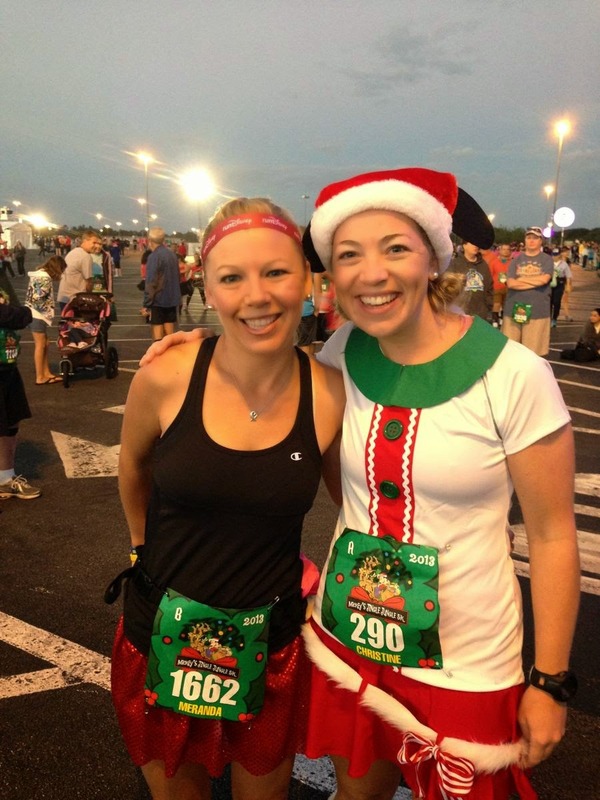 *You will see lots of runners dressed in holiday themed attire. Make sure you join in the fun by dressing up. I just loved Christine's Elf costume! *Runners must be in their corrals by 6:45 am and the race starts at 7:00 am. 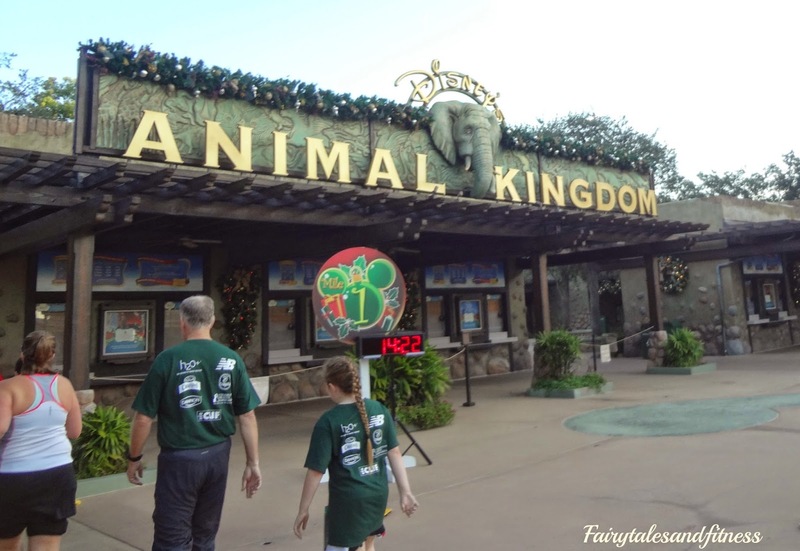 *The start line is in the parking lot of Animal Kingdom and it is also the finish line too. If you have friends or family that want to spectate, there is a set of bleachers set up. *This race started off in the parking lot for the first mile, then you enter the park through the main entrance. The first mile in the parking lot felt very congested and it was hard for me to really get in the groove to run. After the first mile, the congestion cleared out a little bit. I think this is because we were entering the park and people were now starting to stop for pictures. People were stopping at the Animal Kingdom sign and in front of the Christmas tree at the front of the park. *Even though this is not a timed race, there are clocks at each mile marker. *I felt that there were plenty of characters along the course. Ones that I remember seeing were Chip & Dale, Pluto, Donald Duck, and some characters from the Jungle book. Up until this time, I've only ever done the 5K races that run through Epcot so I wasn't sure how this one would compare. It is safe to say that I think this one was just as fun and I wouldn't hesitate to run it again! This post is part of a Blog Hop that is sponsored by DisTherapy. 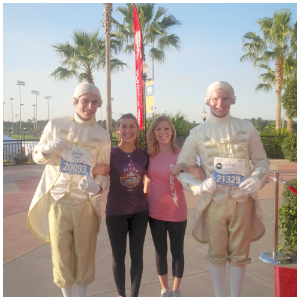 Move along to read more posts about Disney's Wine and Dine race weekend! Happy Friday folks! We have been just loving this weather lately. We have had a bit of rain but the temps have been in the 70's and it has been awesome running weather. 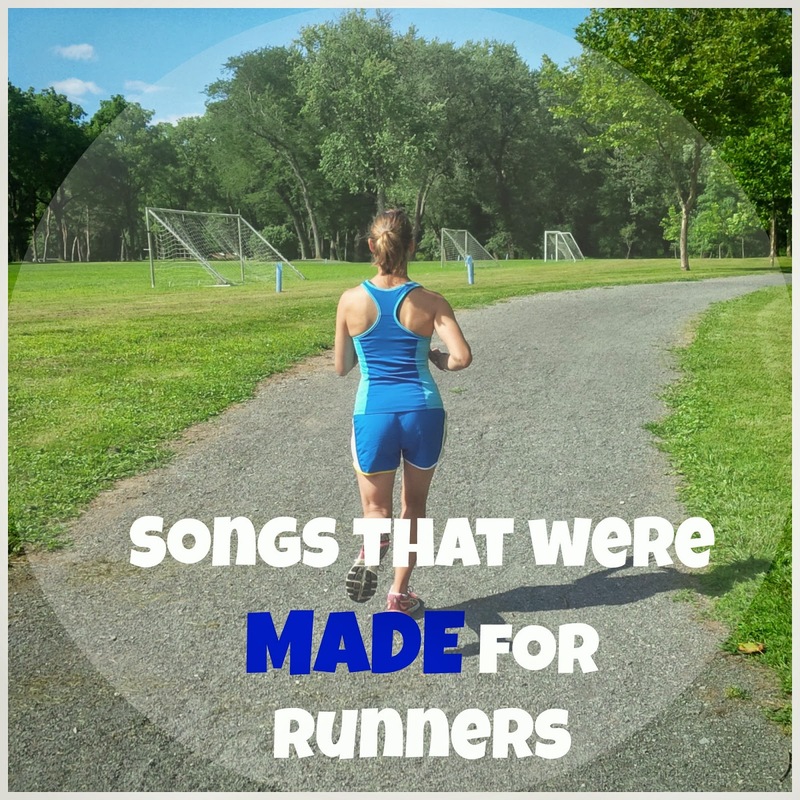 We have lots of miles scheduled for this weekend ( Meranda 17 and Lacey 15) so we thought we would start updating some songs on our playlist. It's a good thing this week's theme is about music! I think having a variety of music on our playlists is key to not feeling bored on a run. I can tell that I actually get a bit excited when I hear certain songs come on. Here is a list of some favorite songs both old and new. If you aren't sure if you know the song or not, we have included a link so you can take a listen ( all of these are the clean version) Enjoy! 1. Songs that will keep you "Running". 2. Songs that will motivate you. 3. Songs that inspire you. 4. Songs that will make you feel like a Champion. Have you found some of your favorites on our list? Are there some songs you hadn't heard of? On select evenings in October the Magic Kingdom at Disney World closes to the public at 7:00pm and only those holding a ticket for Mickey's Not So Scary Halloween Party may enter. If you plan to go to this event, here are some things you may want to be aware of. This was my first time attending this particular event and found that it was set up similar to Mickey's Very Merry Christmas Party. * This event sells out most nights so buying your tickets ahead of time is suggested. Unlike a park ticket, you have to designate a day that you want to go to the party. If you buy a ticket for Friday night, then you must go to the party on Friday night. Your ticket will not be valid any other day. *Although the party doesn't officially start till 7pm, you can get into the park at 4pm with your specially designated ticket. *Dress up! Yes, adults and children dress up for this event. We had a great time sitting on top of the Walt Disney Railroad Train Station on Main Street watching everyone in their costumes. I have to say I was a little disappointed when I would see a couple with a small child that wasn't dressed up. Even if they didn't know about the event until they were already at WDW, couldn't they have bought their child something to dress up in? It's not as if costumes weren't plentiful around WDW. *Regardless if you dress up or not, each person that enters the magic Kingdom will get a trick or treat bag. 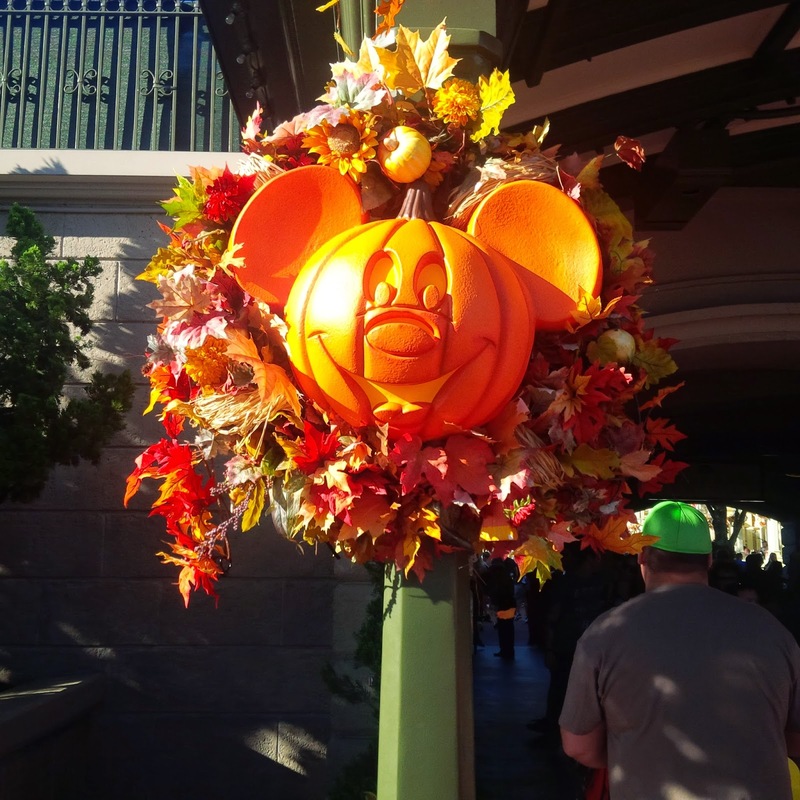 Trick or treat locations are set up at various places around the park. We only stopped at one of them but they certainly gave us a handful of goodies. Scott ended up giving his bag of candy away to a couple that was asking about them. I think I ate most of mine! 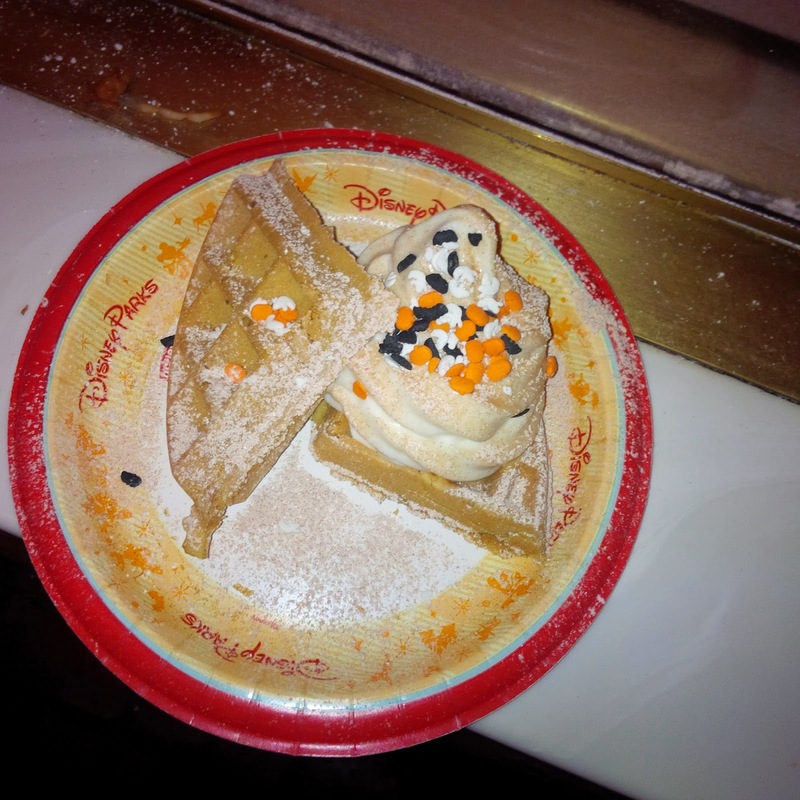 *There is specialty food that was being sold only at MNSSHP. I of course could not pass up Spiced Pumpkin Waffle Sundae. I found this a the Sleep Hollow in Liberty Square. Other specialty items include Ghost Cupcakes at Gaston's Tavern, Candy Corn Cotton Candy sold at various outdoor carts, Candy corn soft serve ice cream at Storybook Treats, and various specialty cupcakes and cookies at Main Street Bakery. 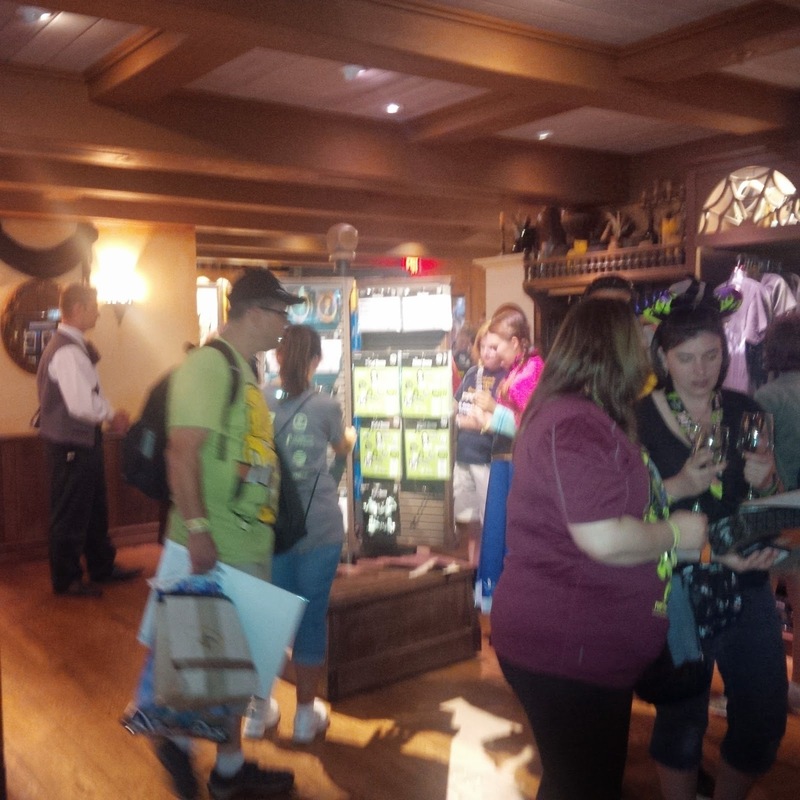 *Specialty merchandise was also available, including T-shirts, trading pins, and special edition Magic bands. Since we both had our Halloween t-shirts from the 5k race, we didn't feel the need to purchase anymore Halloween apparel. * Of course there were plenty of characters out for pictures. My favorite was Snow White's wicked witch. I didn't stop to get a picture during either of the races and it just seemed perfect that I saw here while I was dressed as Snow White. 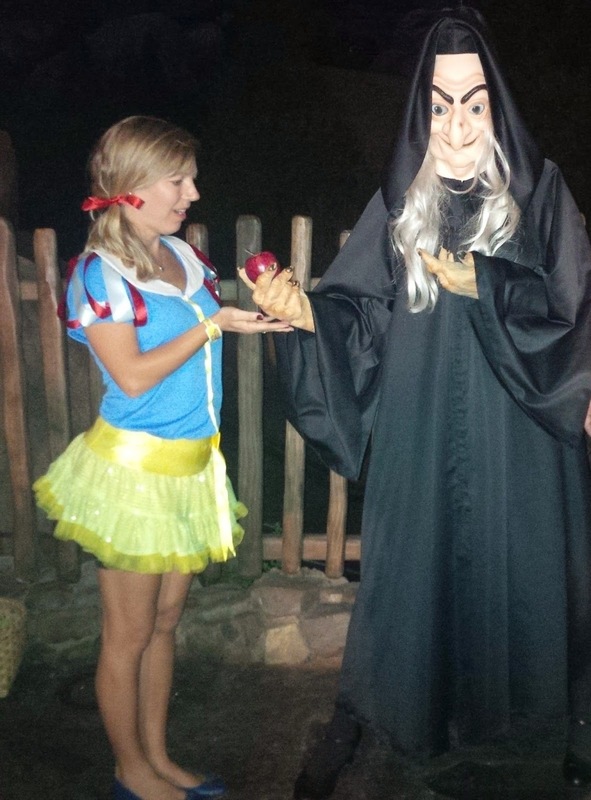 Besides on the race course this weekend, I had never seen the Witch out for pictures. 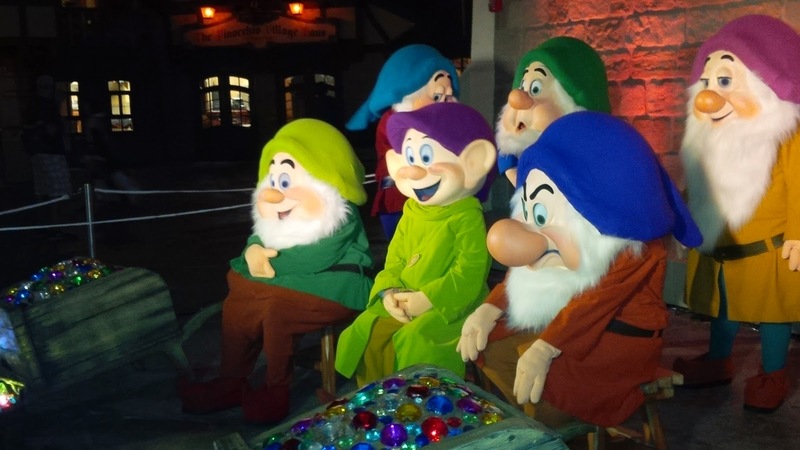 Another group of characters I've never seen before were all seven of the dwarves. We got a picture with them of course. The picture with us in it looks so funny because we look so miniscule and very pale standing next to these Dwarves with their giant heads and shiny faces...haha. We almost looked lost. Several characters where at the dance party at Club Villain at the Diamond Horseshoe. *One of the best things about going to Magic Kingdom during a holiday is seeing it all decorated. I loved all the fall decorations. I was really hoping I could find one of these wreaths for sale, but no luck. 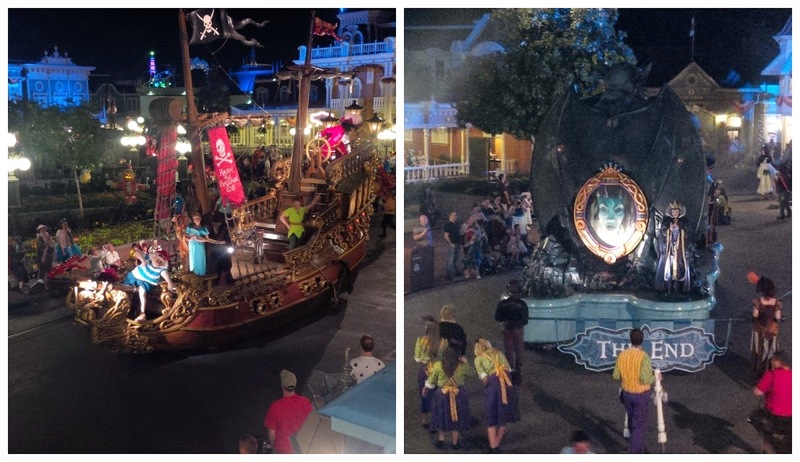 *Of course the main events for the evening were the Hallowishes Fireworks Spectacular and the Boo to you Parade. We got to view the parade twice. We didn't get to our "Fireworks watching spot" in time for the fireworks( Thanks to waiting in line to meet the seven dwarves), so we ended up watching them from Fantasyland. Here we got a 360 degree view of them There were fireworks exploding all around us! I don't know if I prefer this viewing point but it was definitely different. If you want a 360 view of the fireworks next time, stand behind Cinderella's Castle! Here are a list of restaurants and attractions that will be open during MNSSHP. 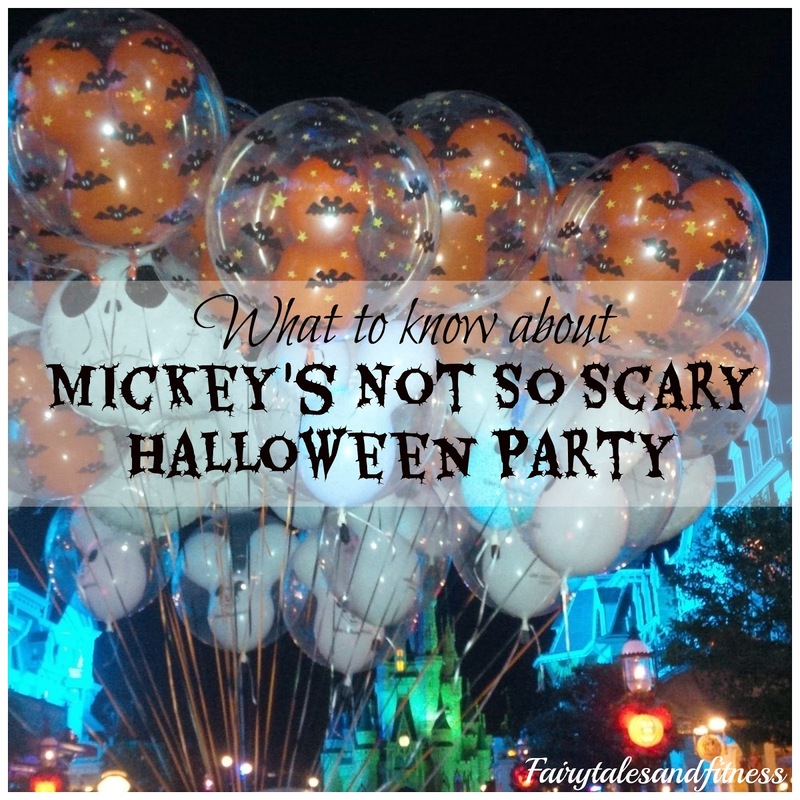 Have you ever been to MNSSHP? Do you have any Halloween Parties coming up? What was your favorite costume you've ever dressed up in? After I crossed the finish line at the Tower of Terror race, I made my way through the chute, got the obligatory picture with the Hollywood Tower of Terror that marathon photo takes of you and walked a ways until I came out at Sunset Blvd inside Hollywood Studios. I then found Scott so we could enjoy the Villain Bash Post race Party. I finished before midnight, so that meant we could maximize our time inside Hollywood Studios! It is unfortunate that guests have to pay for a ticket to see runners cross the finish line of this race. All the other Disney running events that I have participated in, spectators could watch runners cross the finish line without buying a ticket. I know this is because TOT actually finishes inside the park. 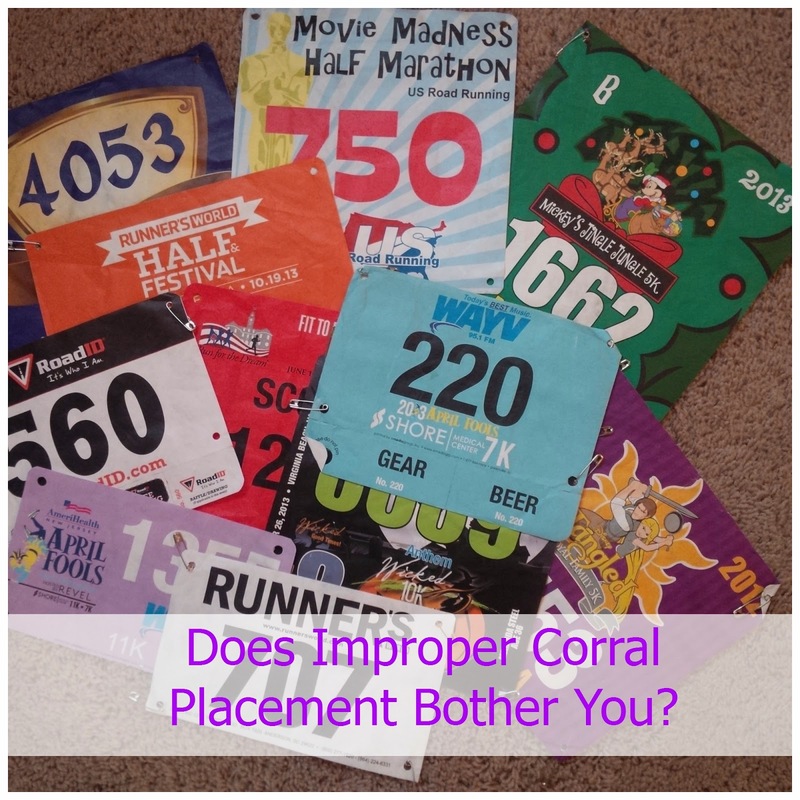 Still, I think there should be a way to corral folks who just want to see their runner cross the finish line but not go to the Post Race Party. In any case, I got into the party for free ( as part of my race registration), but we had to buy Scott a ticket. I don't remember for sure how much the ticket cost but I know it was somewhere between $65-75. I bought him the post race party ticket when I registered for the race because there is only a limited amount of tickets that are sold. I don't know for sure if they sold out or not. I had packed a bag with some change of clothes and other post race essentials but to be honest, I was so excited to tell Scott how my race went that I didn't even want to take the time change clothes! Limited attractions and food stands are open during this time. Some of the rides that were open included the Tower of Terror of course and the Rock n Roller Coaster, neither which I enjoy so we passed on those. The only ride I wanted to make sure we went on was Toy Story Mania. The past several times I've been to Hollywood Studios the lines were always SO long so it was something we passed on. Since we would have had to cross the race course to get to Toy Story Mania, we were told that it would remain closed until after the race. That kind of stunk. But it worked out okay anyway because it gave us a chance to watch the other runners come through. We hung out in the hub area where the Sorcerer's hat was. I was craving something salty after the race so we bought a popcorn bucket in a cute Hollywood Studios souvenir bucket. There was an open area in front of the Sorcerer's hat where we could watch the runners go by, so we enjoyed standing there eating our popcorn and cheering for the other runners. It was fun seeing all the fun costumes go by! There were also some character interactions as well. Since we stayed basically in the hub where the Sorcerer's hat was, we only got to meet Cruella and the Evil Queen. A cast member told me that two other villains were out as well but we never went to go look for them. We cheered for every last runner that went by. Honestly, I was surprised to see how many people came in behind the balloon ladies. I'm assuming since they had made it into the park, that there was no reason for them to get swept up. After all runners passed by, the road opened up and we were able to head over to Toy Story Mania. Even though it "Supposedly" had just opened up, the line was not short. The wait time said 40 minutes, but I do believe we got on sooner than that. Regardless of wait time, it was a fun ride. Do you enjoy post race parties? Or do you just want to go home and relax? 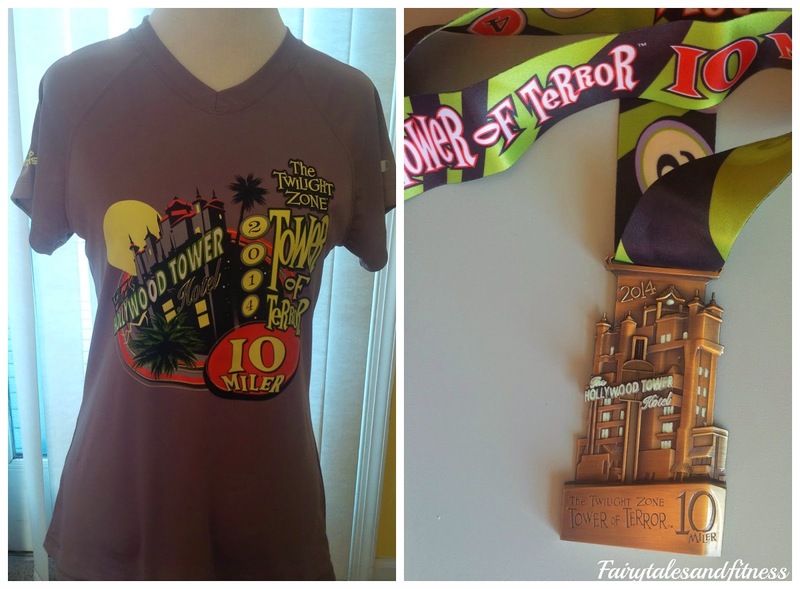 If you missed it, you can read about my Disney Tower of Terror 10 Miler HERE. As you may remember, I was really nervous about doing this race. 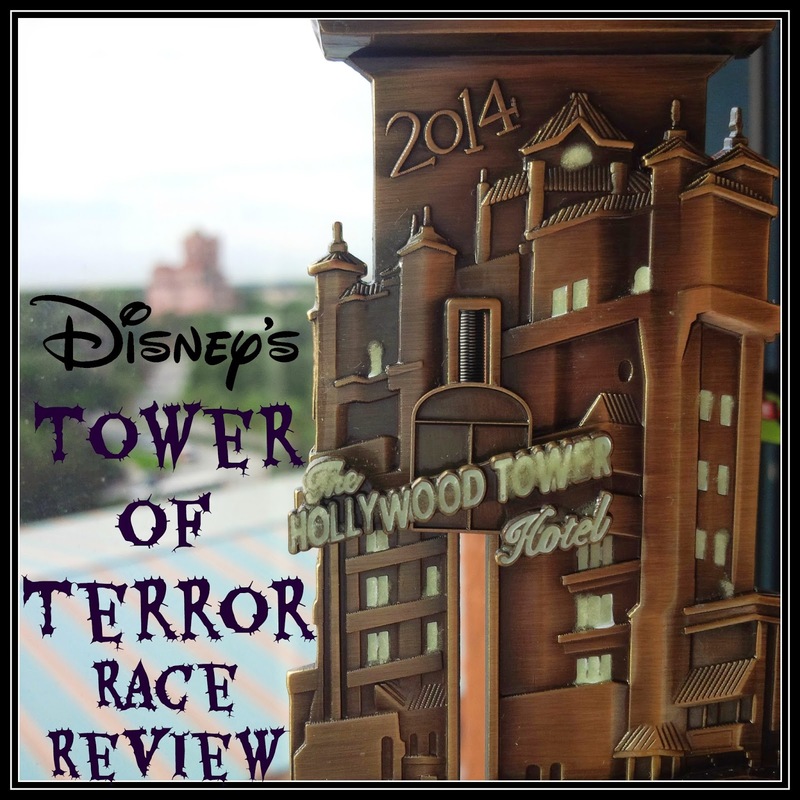 I did the Haunted 5k that morning and then of course this race was on my mind all day. My friend Chaitali and I were both staying at the Disney Swan ( which is in the Boardwalk area) so we were just able to walk over to the start line at Hollywood Studios. This helped ease my nerves a little. 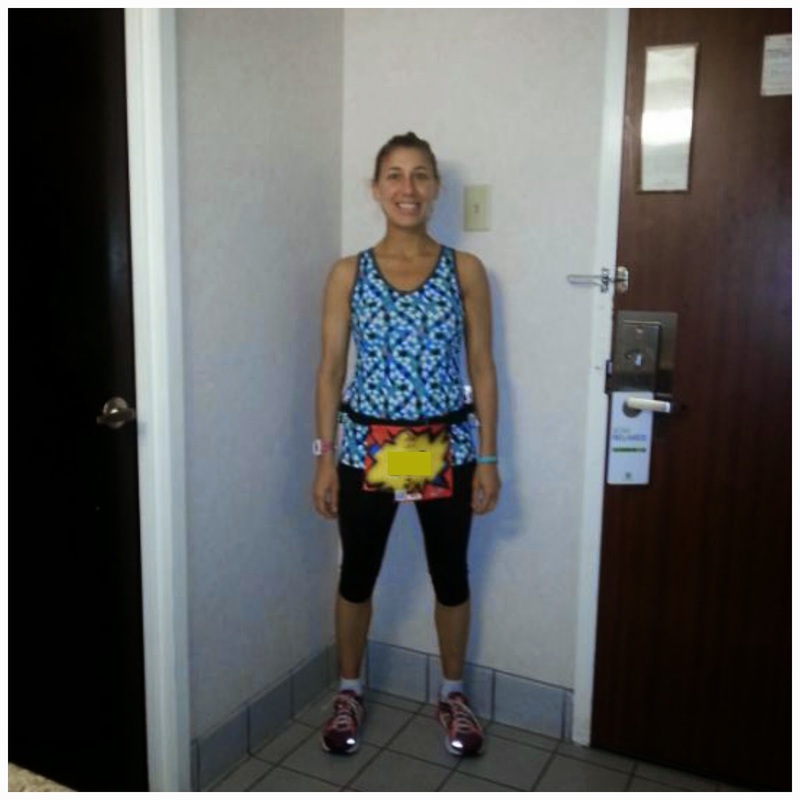 Although I did not wear a costume, I was loving my Running Skirt from Runningskirts.com. I fit SO much stuff in those pockets. I had my phone, some tissues, some extra safety pins, a Honey Stingers Waffle, and a trash bag ( to sit on before hand). I also carried my own hand held water bottle. I think the corrals went from "A" to "J". I was in corral "C", so I didn't have to wait very long. The start line was complete with fireworks. It was kind of tough to get started. I was going to just do a light jog/shuffle to keep pace with my corral, but I am glad that I started running my own pace right away. It was pretty crowded starting out so I had to do a lot of weaving in and out. I always feel guilty passing people right away. The last several Disney races I did not listen to my own music, but I thought I needed it this time to keep myself energized. I fumbled with my ipod for a few seconds and then I got in my groove. I had my trusty Garmin on but this is the first race that I didn't use it. I had it set for intervals, but I didn't follow it. I just kind of kept track of my time by the clocks on the mile markers. As we left Hollywood studios we ran up on an on-ramp. and then on the highway to Animal Kingdom parking lot. I ran the first 3.1 miles then took a 30 second walk break. I ran till mile 4, then another 30 second break. 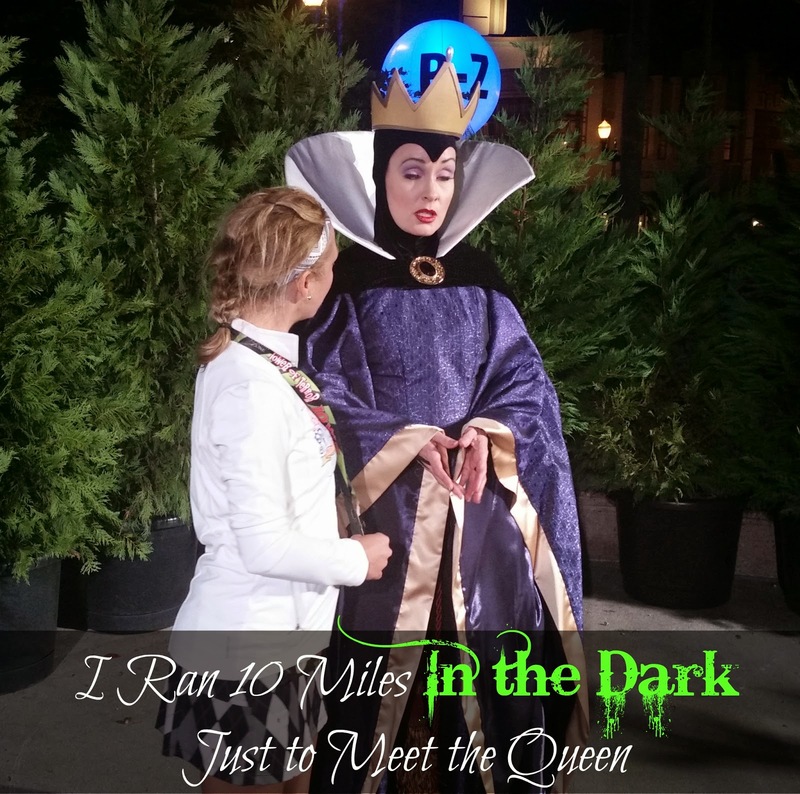 Mile 5 was back on Mickey's Haunted Trail, so that is where my time really slowed down. I was happy to see that it was only a small portion of the trail and glad that I had experienced it earlier that day. It was dark up there and there was also some thick fog that made it hard to see. I did have a keychain flashlight with me but didn't take time to pull it out. There was a girl in front of me wearing a light up tutu, so I left her lead the way! As we came out of the woods we ran around the track at the sports complex. This was a nice track and was a good place to pick up some speed. I ran till mile 6.2 and then took another 30 second walk break. The next mile was leading into Champion Stadium where there was a crowd waiting for us and cheering us on. Mile 8 was back on the highway and we hit mile 9 at the Hollywood Studios toll booth. ( before the toll booth there was a small bridge and it had tracking or something on. I actually got my shoe caught in one of them ( and almost tripped) and but was able to hop over the second one a few feet ahead) That last mile was through the park and it seemed like the longest mile ever. We ran past the set of the stunt show, down New York street and around the sorcerer's hat where there was an announcer and a large crowd. I honestly thought I was nearing the finish, but I wasn't. I had ran out of water at mile 9, so I was ready to be done. We ended up running a little further and then through the backstage tunnel where all the costumes are made. At one point we were in a tunnel that had spinning lights ( like you were in the twilight zone) and it was starting to make me dizzy. A little further and I finally crossed the finish line! I was exhausted but so excited because I knew I beat ALL of the goals that I had for this race. I not only beat them, I exceeded them. I did not have negative splits, but that's okay. I know I slowed down around mile 5 because of the trail. My results ended up being: 5K:29 minutes, 10K: 1:01, and the final time for the 10 Miler was 1:40:38. I was pleased with this time but then when I saw what it was, I wished I would have pushed a little harder for those last couple of seconds to come in under 1:40. O, well. I place 528 out of 6,150 women who ran. Over all I was 1340 out of 9,389 runners. I read on another blog that 800 or so runners got swept, ouch! So what did I honestly think about this race? The weather was PERFECT. It was well lit except for the little part of the trail, and I never felt that it was unsafe. I actually liked that the trail portion was very minimal. It was actually kind of nice running at night. I didn't bother taking pictures along the course because I figured they wouldn't turn out anyway. What I did not like about this race was some of the course. There were several on/off ramps and turns on the road. I didn't mind the inclines, but I did mind the turns. I know this is hard to explain in writing, but the turns made it so uneven to run on and I kept thinking, "this is how I probably strained my IT band in the first place." I did not want to run with my one hip on a higher surface than the other, so while everyone else was trying to take the tight corners by running on the inside of the curves, I ran on the top edge of the road where I felt it was a little more even. I know this added more time to my race. O well, better safe then sorry. When I ran on the track at Wide World of Sports, I knew enough to run in the inside since it was nice and even! Although I did have a good time, I didn't think this would be a race that I would be signing up for the following year. Then I heard last week that it would not be scheduled for next year anyway. Now, I'm kind of glad I ran it this year. If Disney decides to bring TOT back in the future I would do it if my sister or mom wanted to run it with me, but I don't think I would do it again by myself. Disney did a great job with the race but I just didn't care for some of the route. Let me re-state that. I did like the route, meaning where we ran. I guess I just didn't like the quality of the road. Does that make sense? I was very pleased with the shirts this year. I didn't see them a head of time and it was kind of nice to be pleasantly surprised. The women's were a V-neck and the men's were the traditional round neck. Does anyone know if this was the first year that they had a women's cut shirt? And of course the medal is fabulous. The lights in the windows glow in the dark. 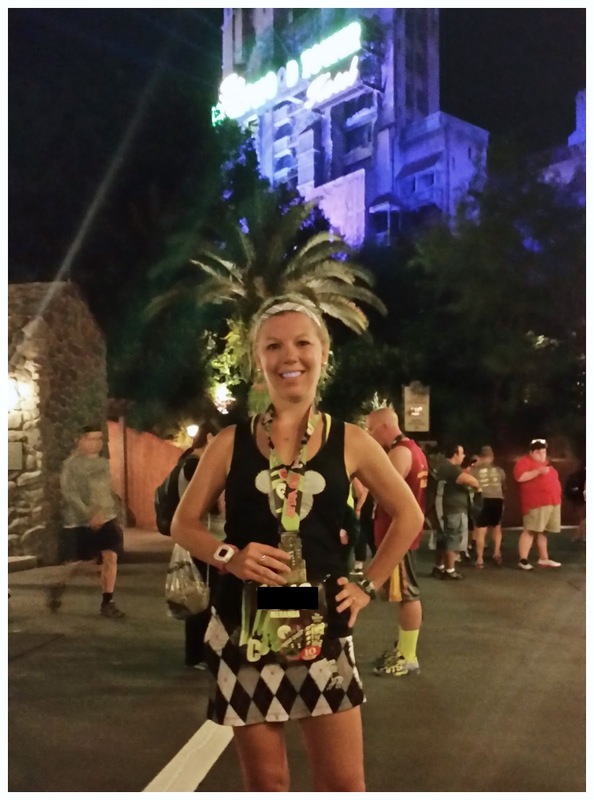 Earlier this day I ran Mickey's Haunted 5K. You can read about that HERE. 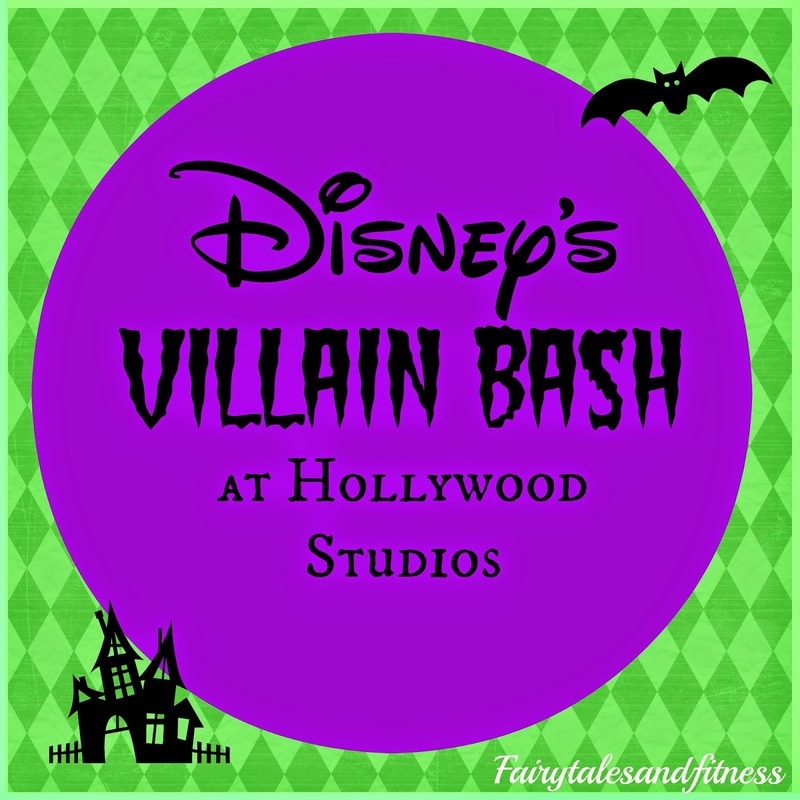 Stay tuned to hear about the Post Race Villain Bash at Hollywood studios. Its that time of the week again where we review what we did and how the week went down. I surprised myself and got a run in everyday this week. 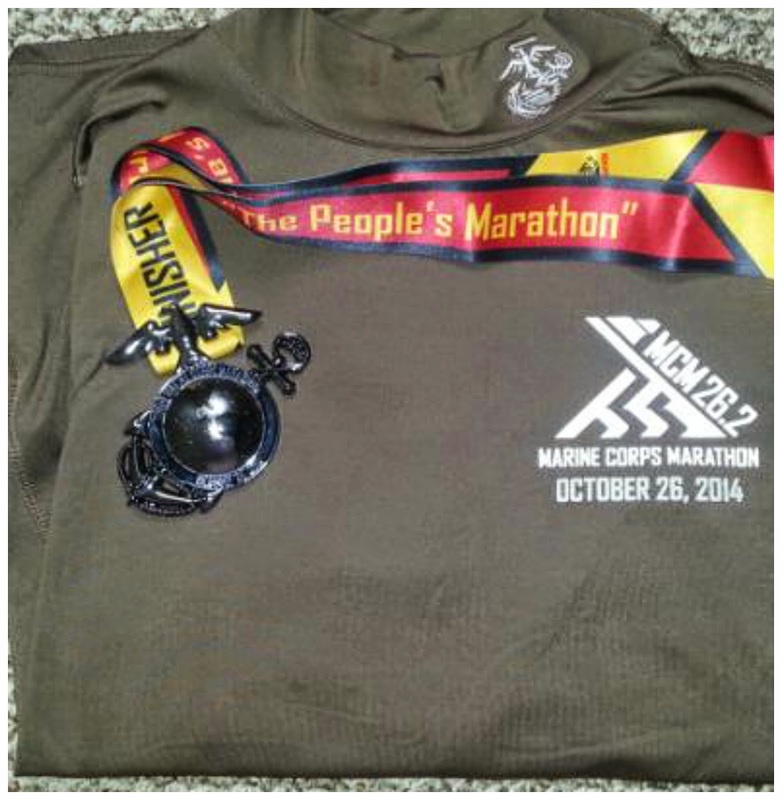 My motivation is that I know Marine Corps marathon is right around the corner. Mon- Ran 3 miles before going into work. That evening went to a Thai restaurant I've been wanting to try. Tues- Completed 7 miles. Watched the movie A Million Ways To Die in The West. My opinion, don't waste your money. Has anyone else seen it? I also caught up on past episodes of Nashville....so good! Anyone else watch it? Wed- Slept in since I knew I had to work that evening. When I awoke I was feeling refreshed and ready for a run. I completed another 7 miles. Thurs- Headed out for a run later than usual. To bypass all the school traffic around that time I thought I would try a different route. I ended up getting a bit lost and had to stop another runner and ask for directions. When I finally made it back home it ended up being 9 miles. Fri- Weather called for rain. So I did interval training on the treadmill and lifted weights. Of course it never rained. I always feel like I don't get as good of a workout when it's on a treadmill. Anyone feel the same way? My week was just the opposite of Lacey's. As you know, I was at Disney for half the week but when I came home I did absolutely nothing training wise. My last run was literally on Saturday night when I ran the TOT 10 Miler. It seems to be a trend with me that I take a whole week off after a big race weekend. I hope that doesn't hurt me too much! When I returned home I had a few fun goodies waiting for me. 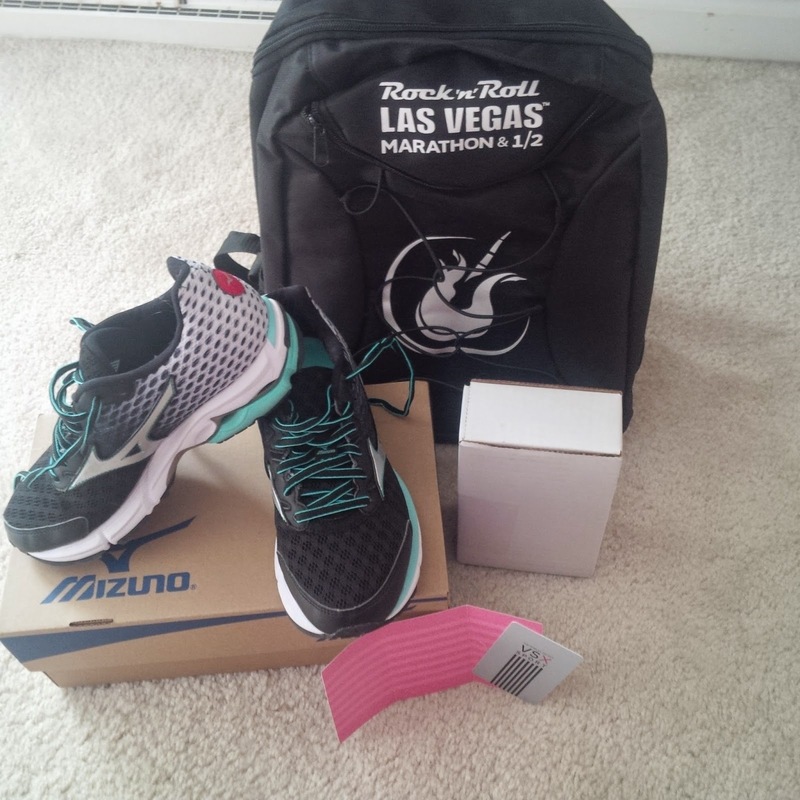 I received the same backpack Lacey did courtesy of Competitor, the Mizuno Wave Rider 18 Courtesy of Mizuno, a new Influenster box, and a Victoria's Secret gift card from an online contest I participated in. As much fun as it is to get away, I enjoy being home. I missed this girl so much! It was so great just cuddling with her. On Friday we slept in together and then I drove her around with me when I ran my errands. It actually made me upset to think that I will be away from her the next several weekends. I just want to spend all my time with this sweet girl! 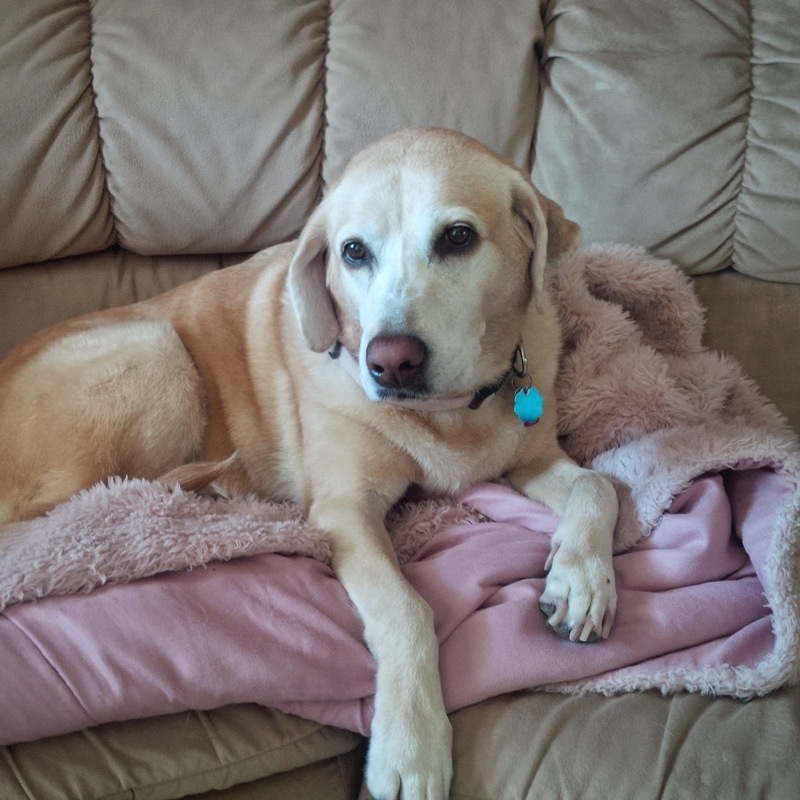 Baylee was chosen to participating in the Purina One 28 day Challenge and we just finished it up this weekend. As you can imagine I am super concerned about the health of my dog and I am very picky with what dog food I buy for her. I read the ingredients and the claims of the Purina One and decided that we would give it a try. Purina supplied us with a trial size bag of dog food and then a coupon for a free full size bag. Brighter eyes, improved dental health, increased energy, shiny coat, a great taste and easy digestibility are all the selling points of this item. I can not attest for the taste of course but I certainly did not see a major change in Baylee after eating Purina One. 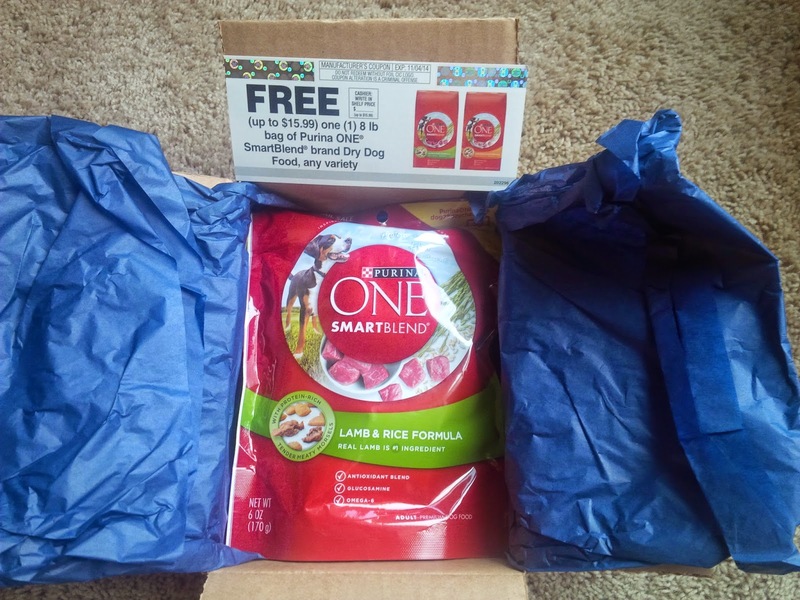 If you would like your dog to try Purina One you can get a coupon HERE. Tell us how your week went. Have you seen any movies lately? Have you ever got lost on a run? How long do you usually rest after a big race? Thanks for stopping by and taking the time to read about us. We hope you have a good week!